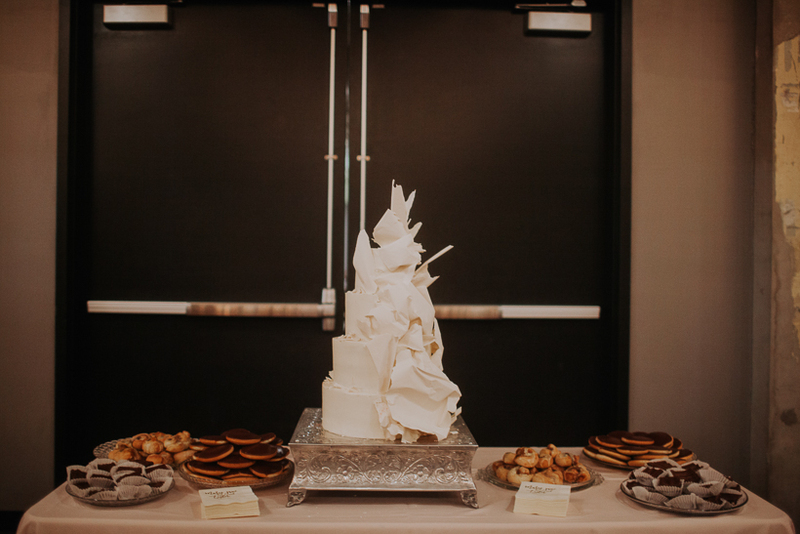 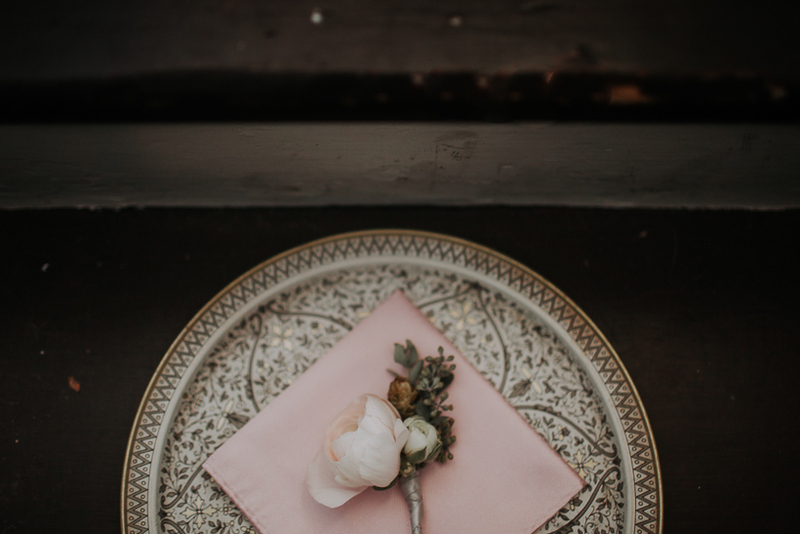 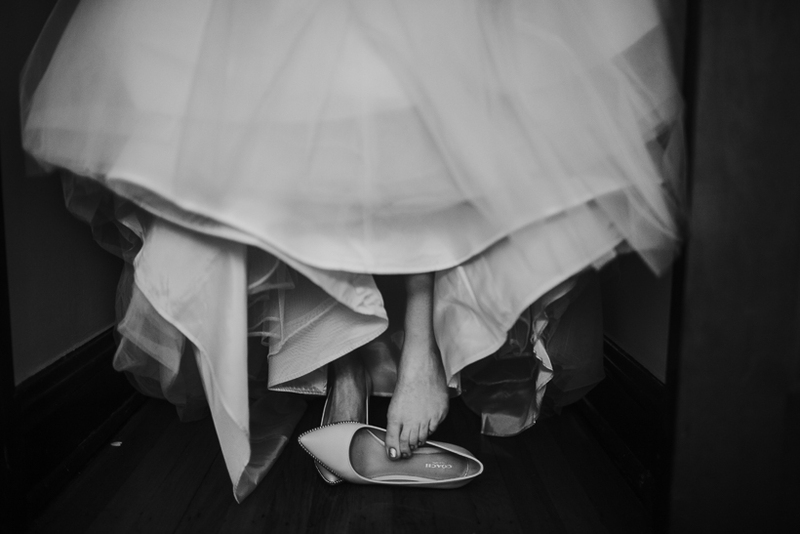 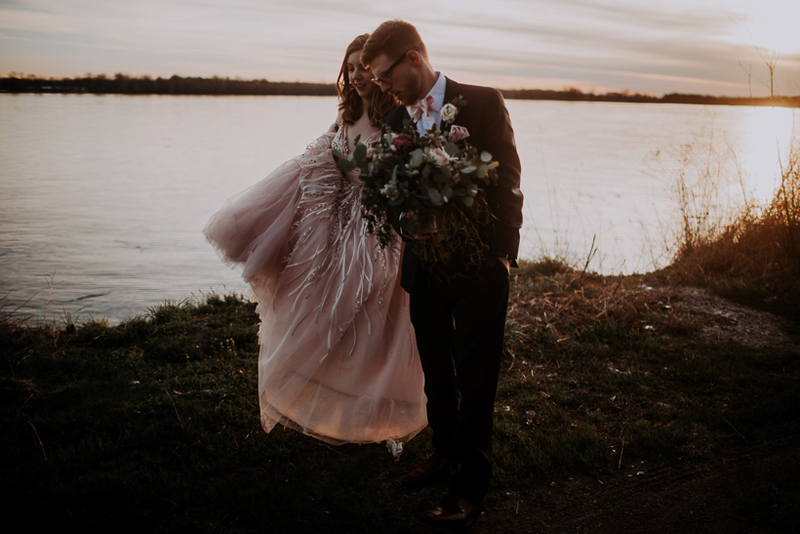 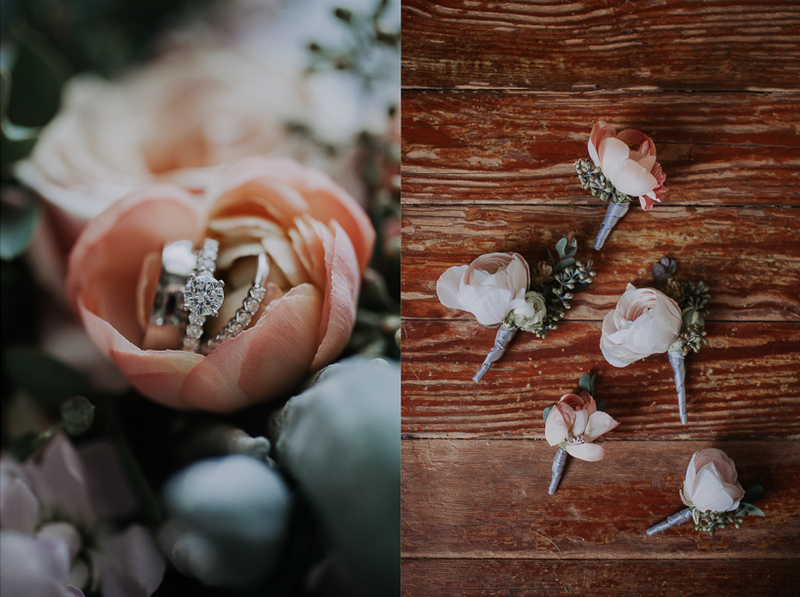 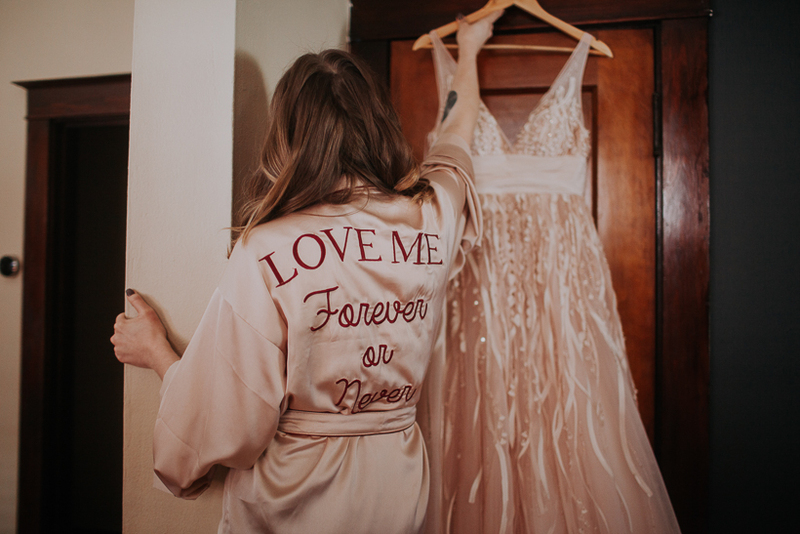 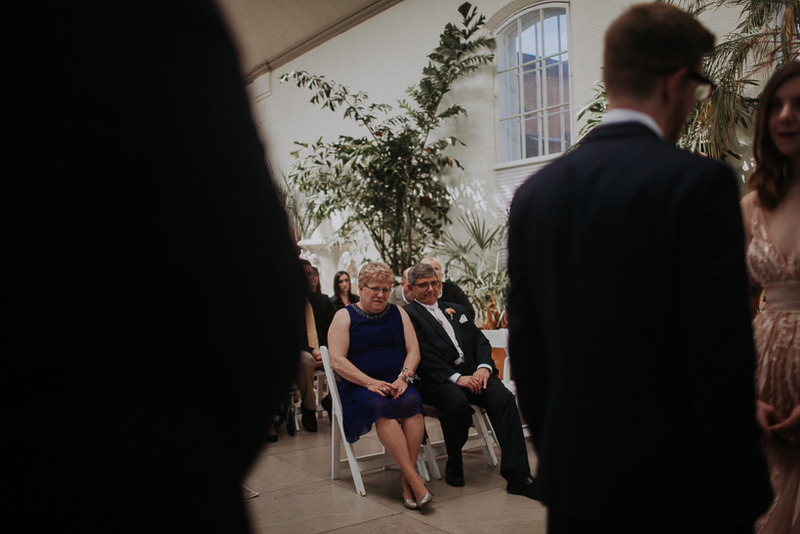 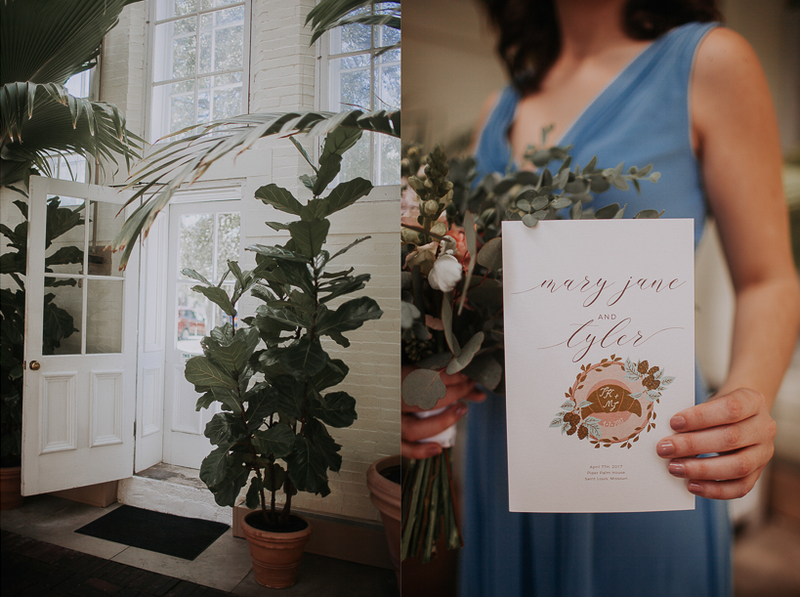 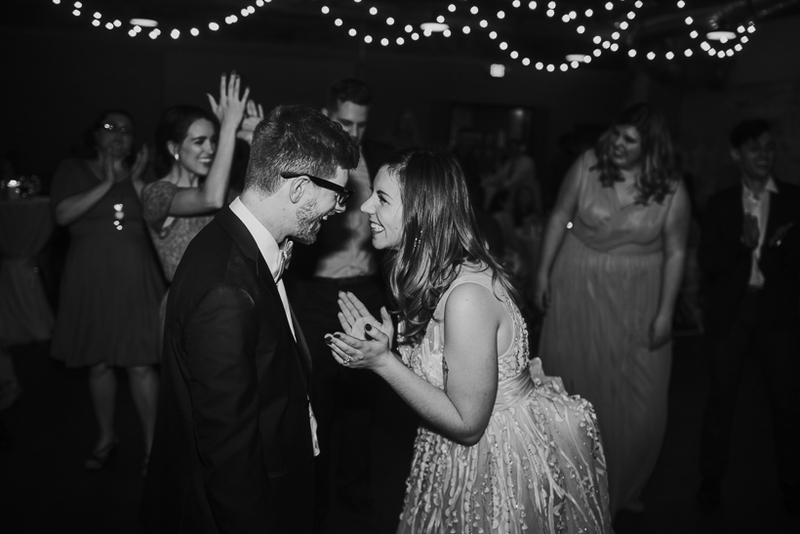 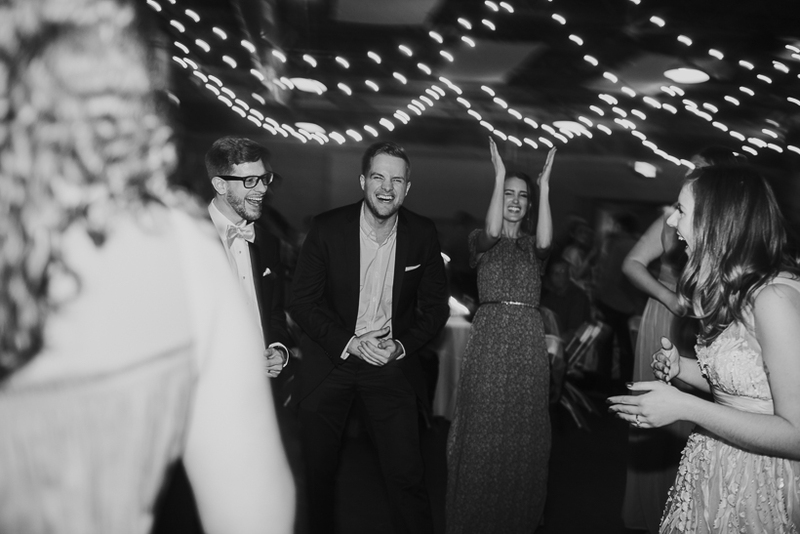 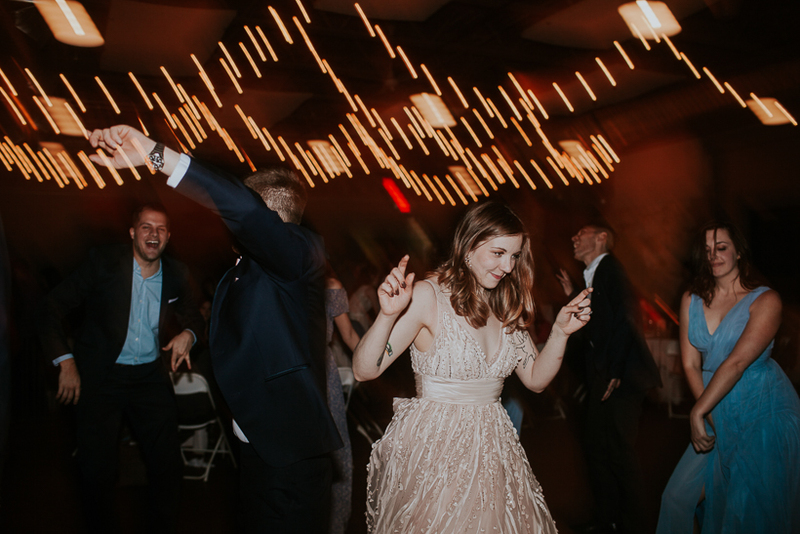 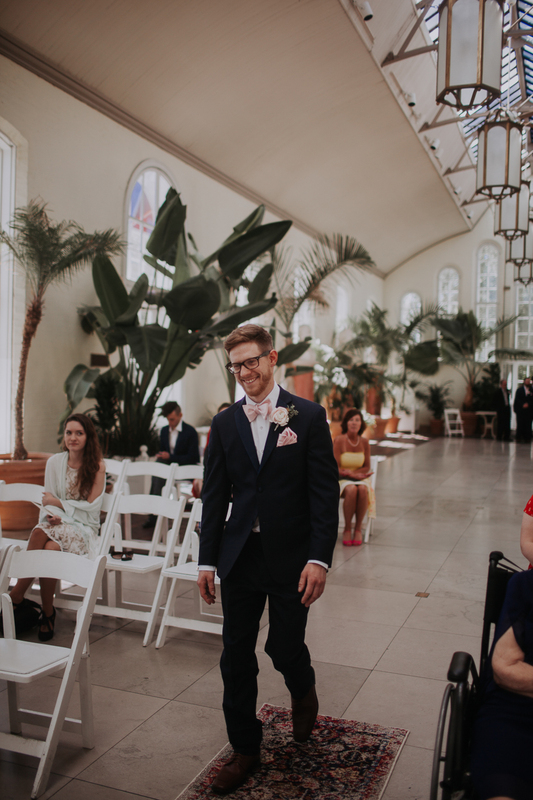 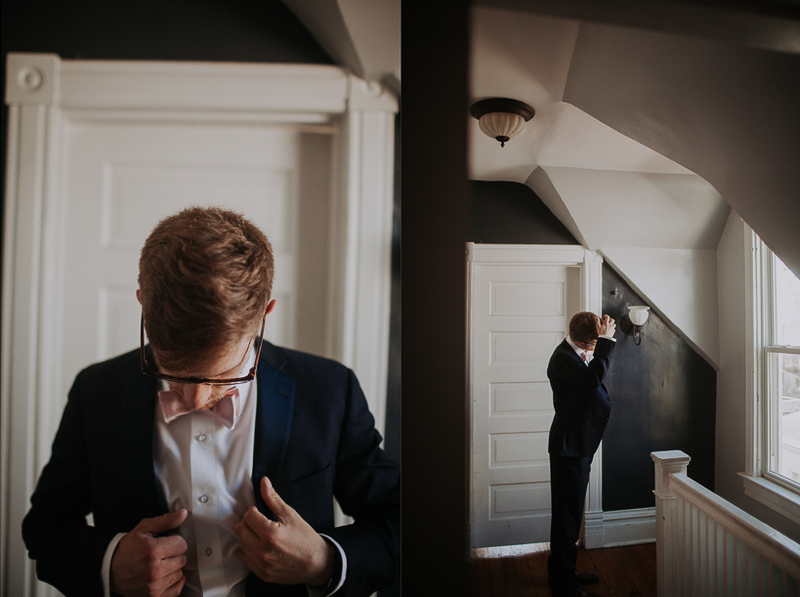 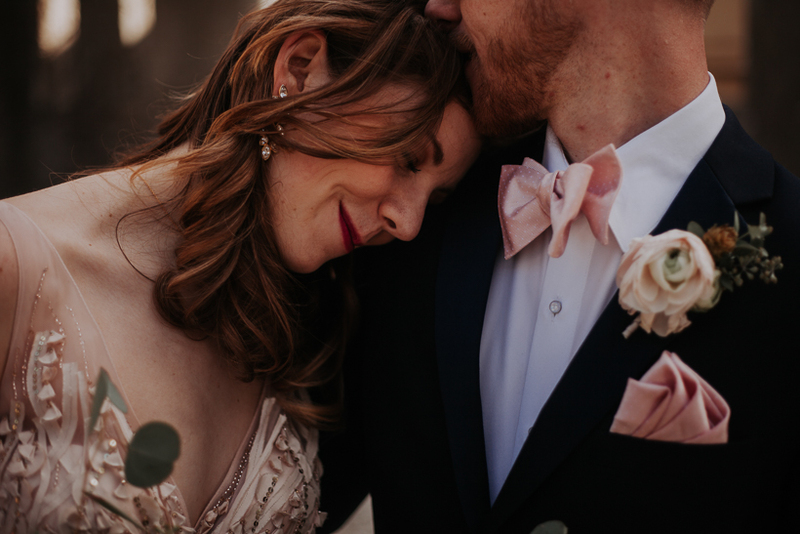 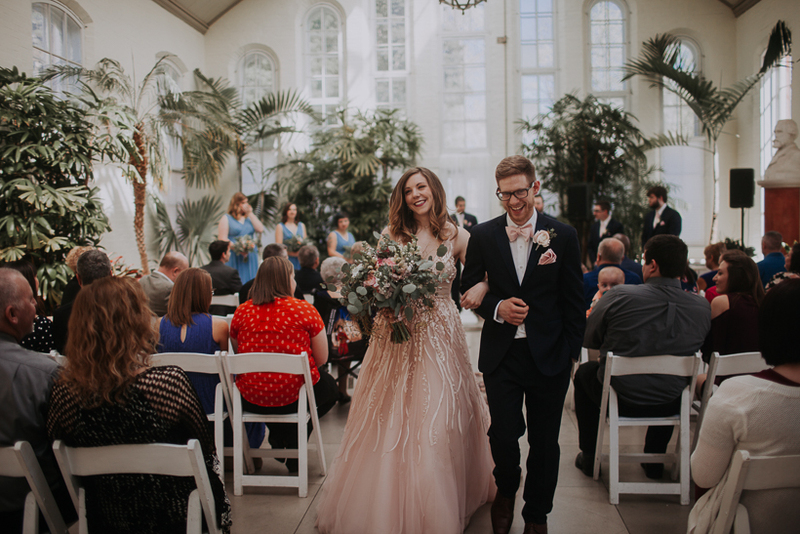 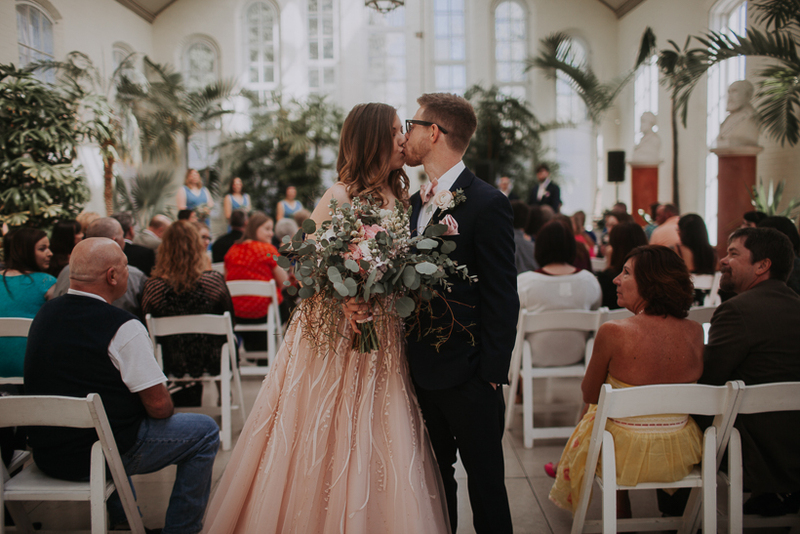 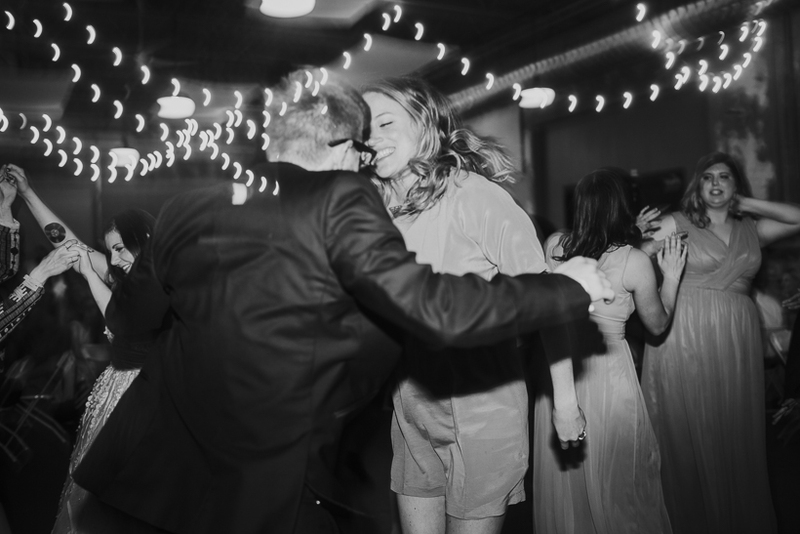 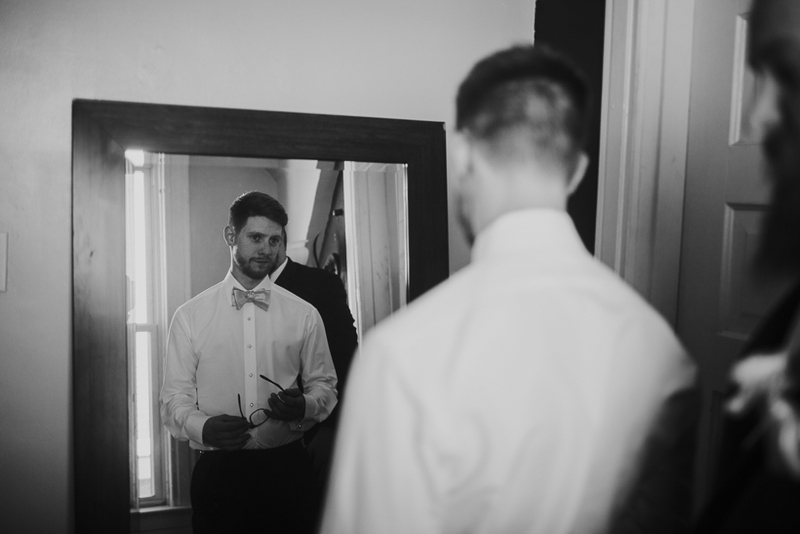 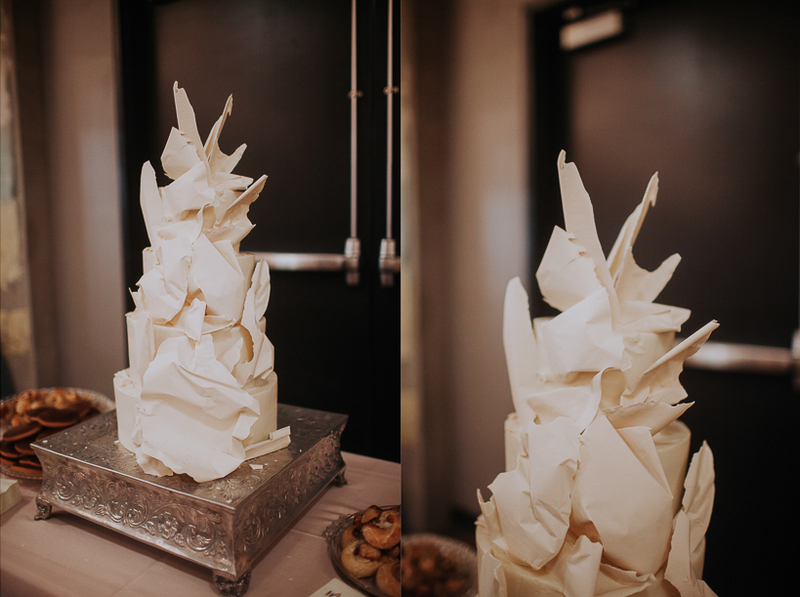 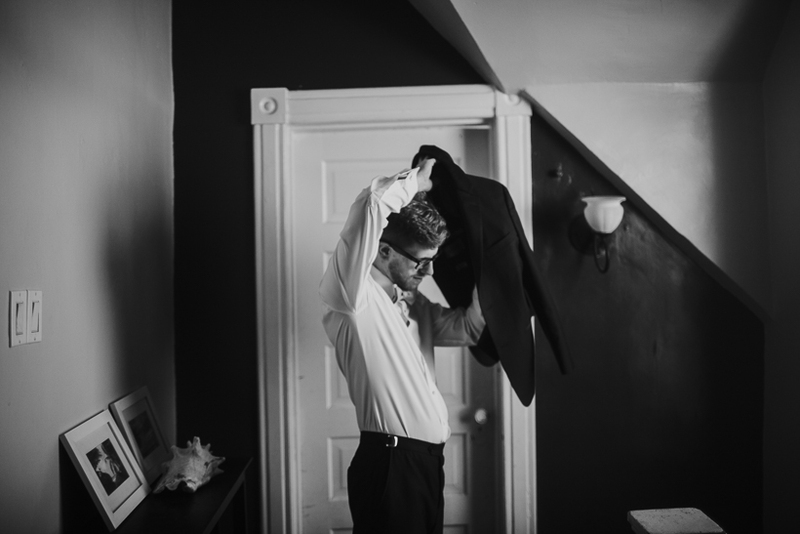 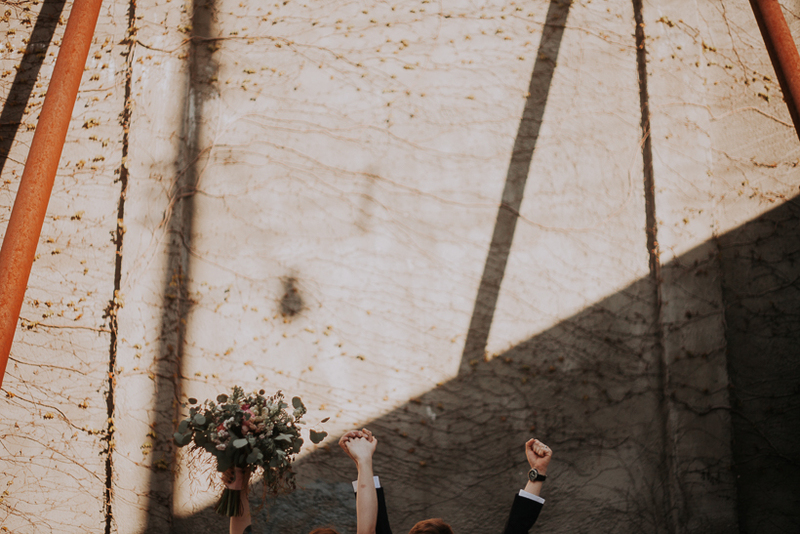 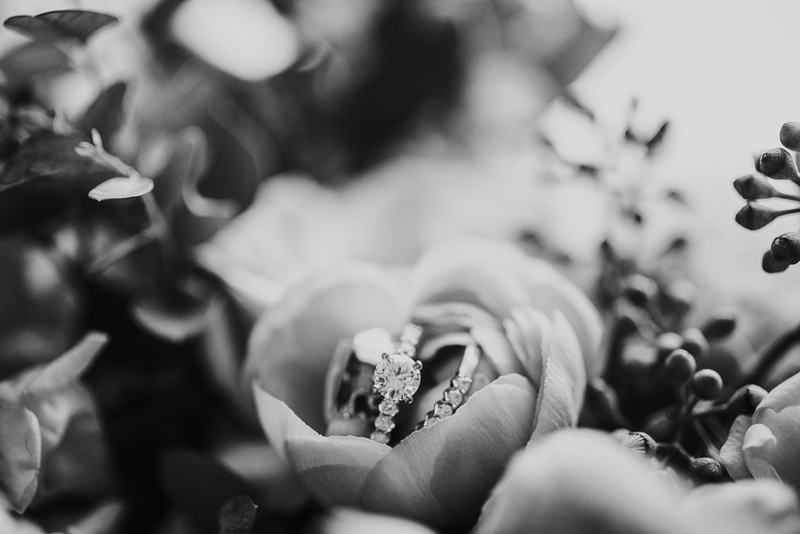 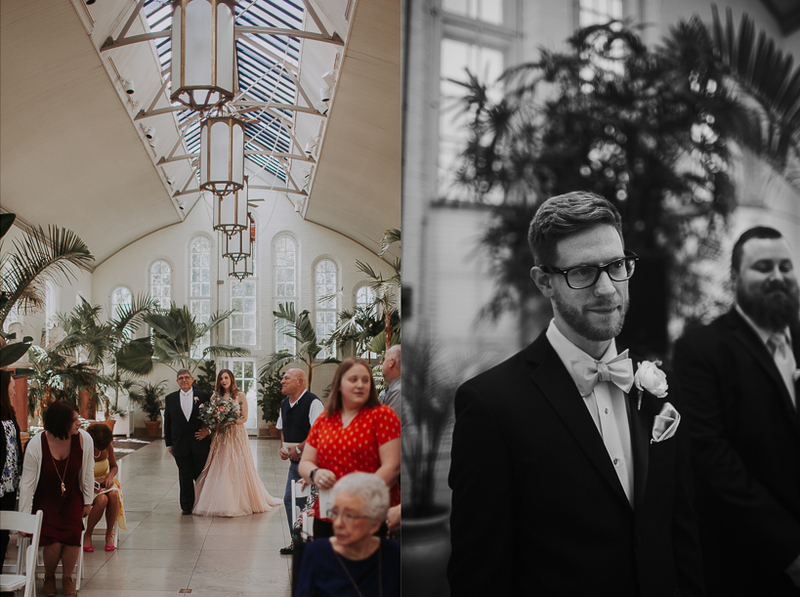 Anytime we get the chance to shoot a wedding in St. Louis, especially one jam-packed with so many amazing vendors, venues, shooting locations, and most importantly PEOPLE we immediately say yes. 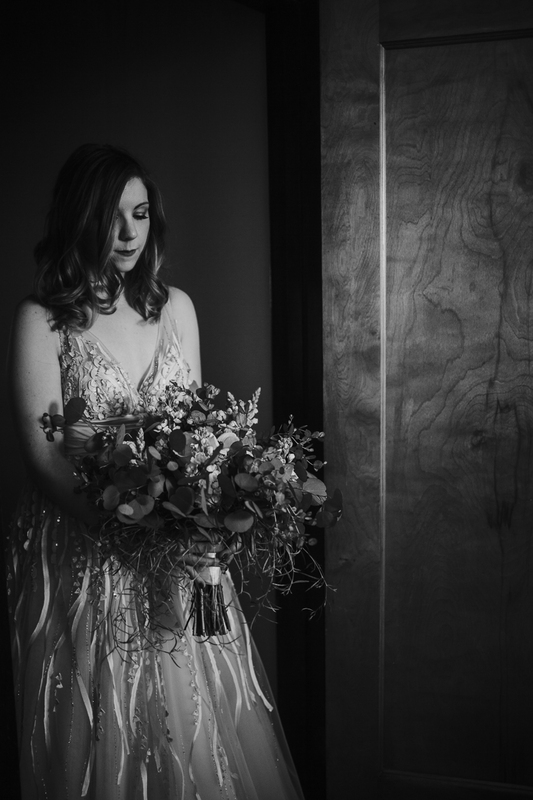 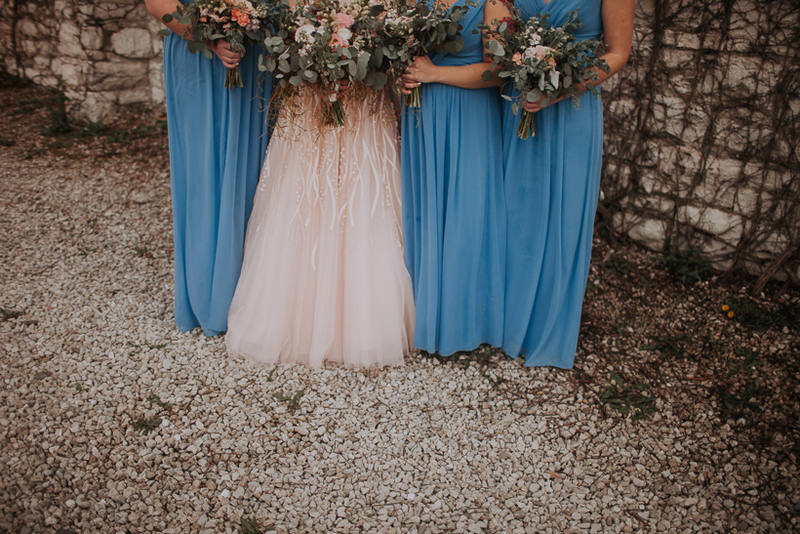 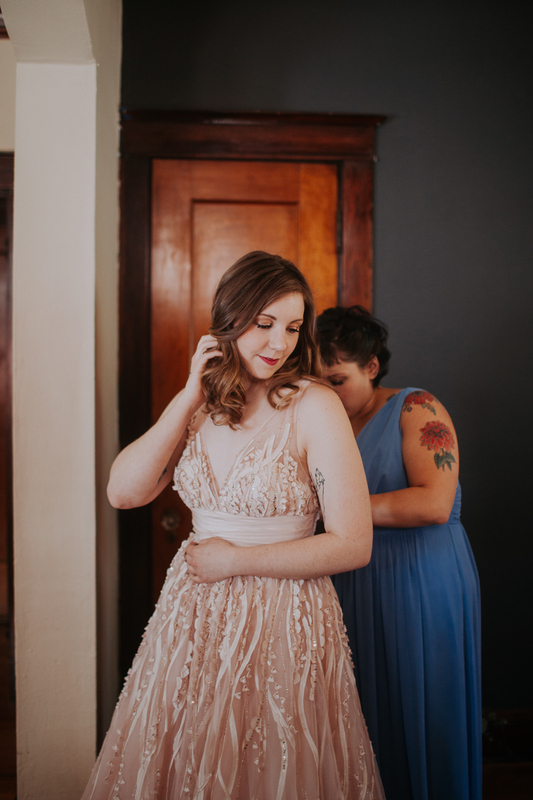 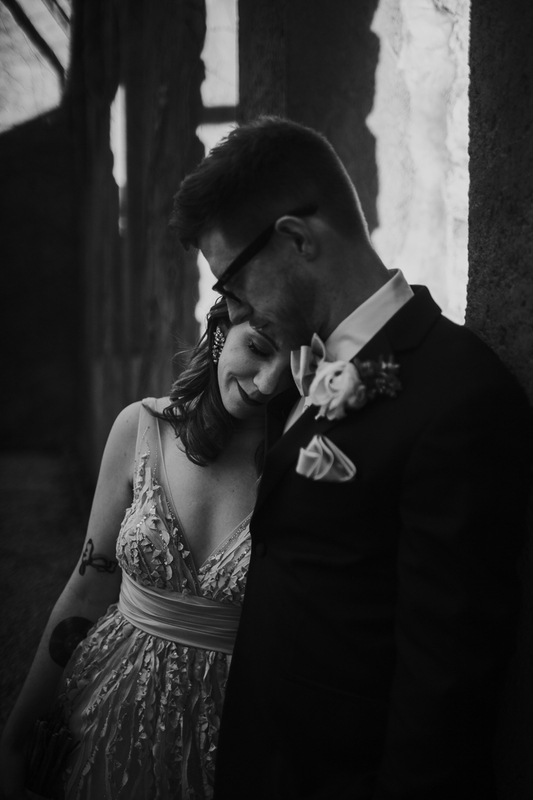 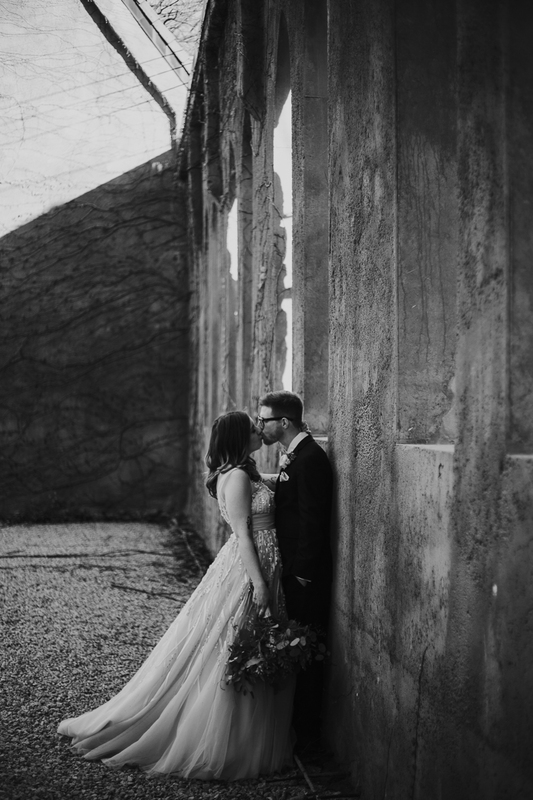 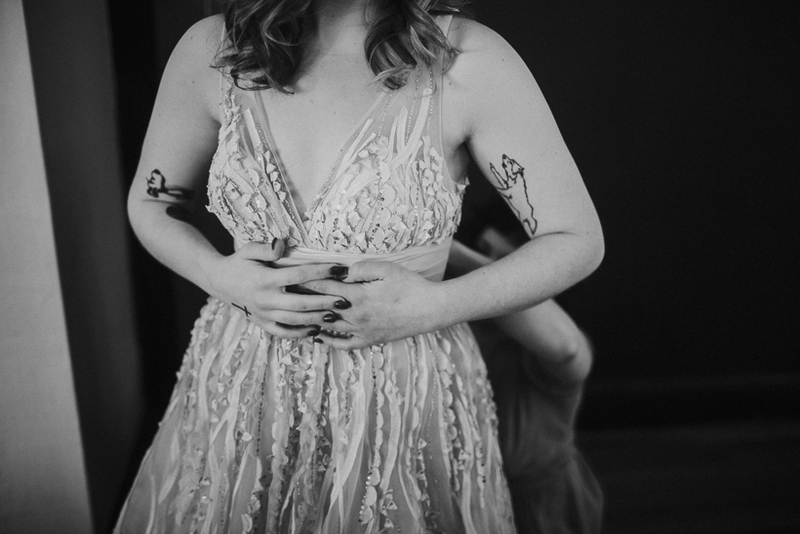 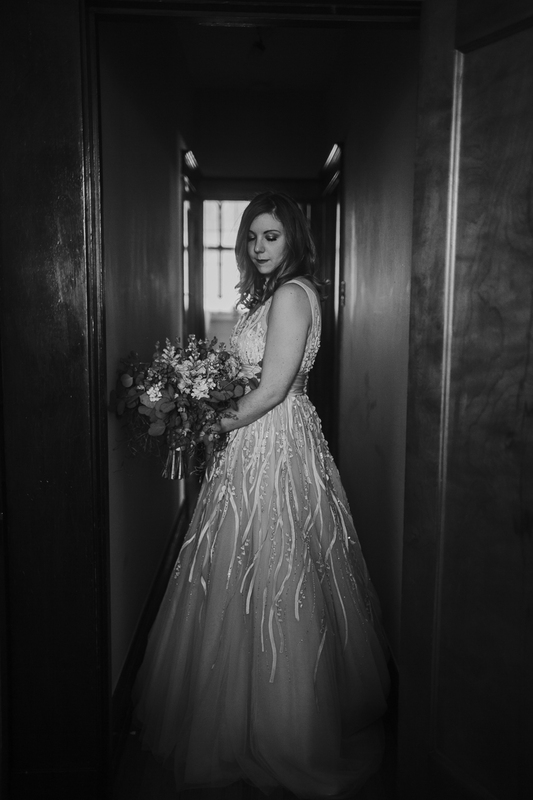 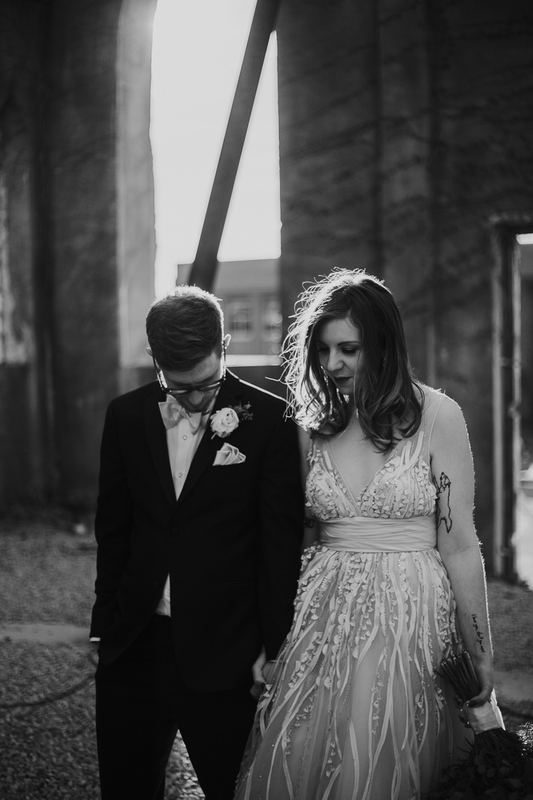 I met MJ when we were 11/12 years old at summer camp and I was so excited when she sent me an email asking me to photograph her wedding! 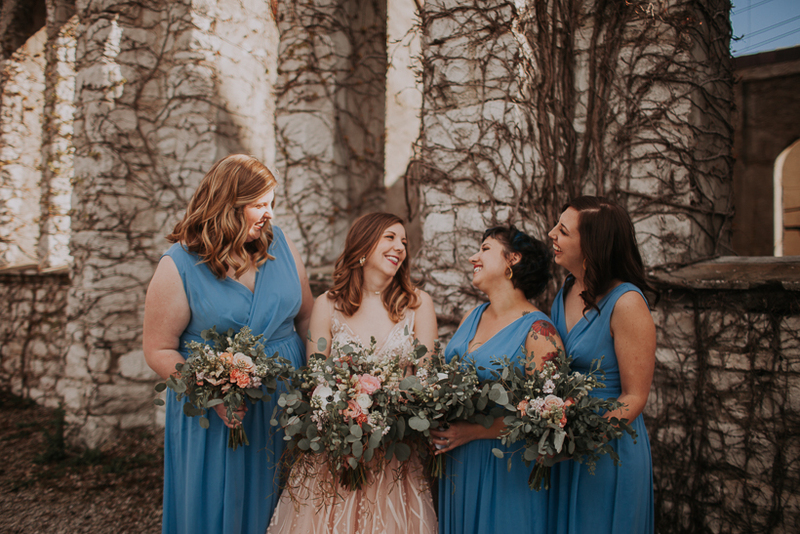 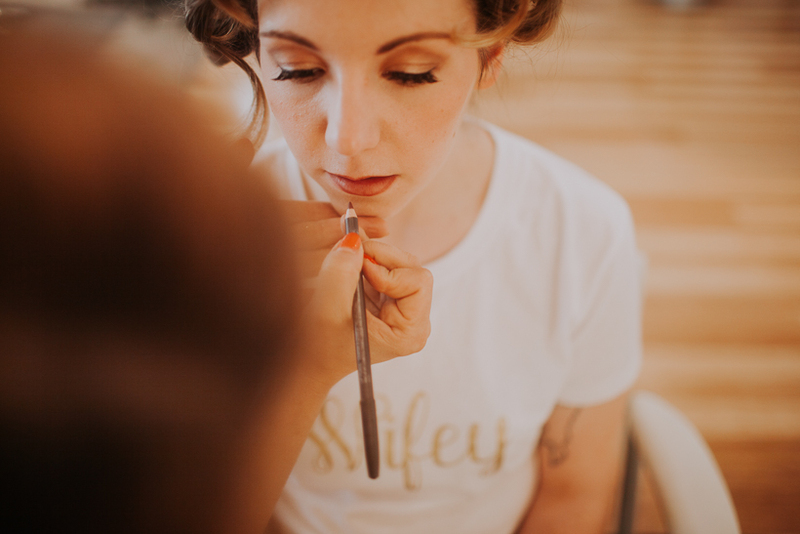 The day started out at Nova Salon in Maplewood where MJ and her bridesmaids had their makeup and hair done in the beautiful white, bright and airy space! 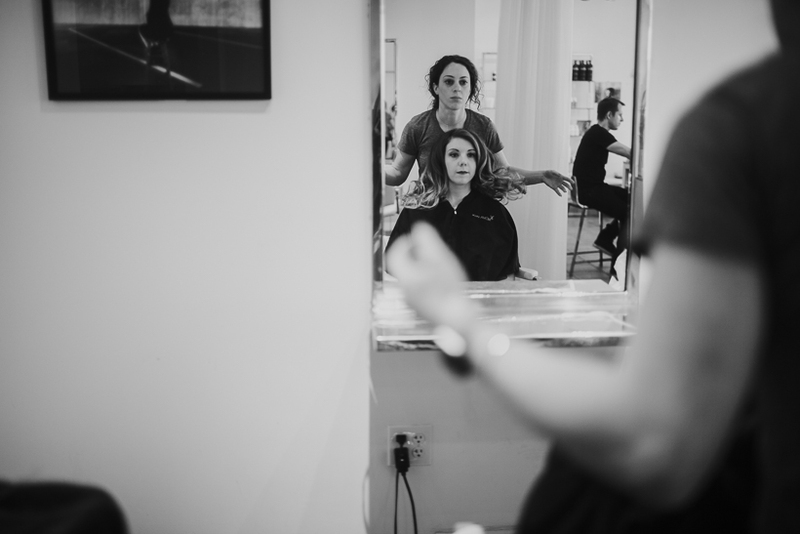 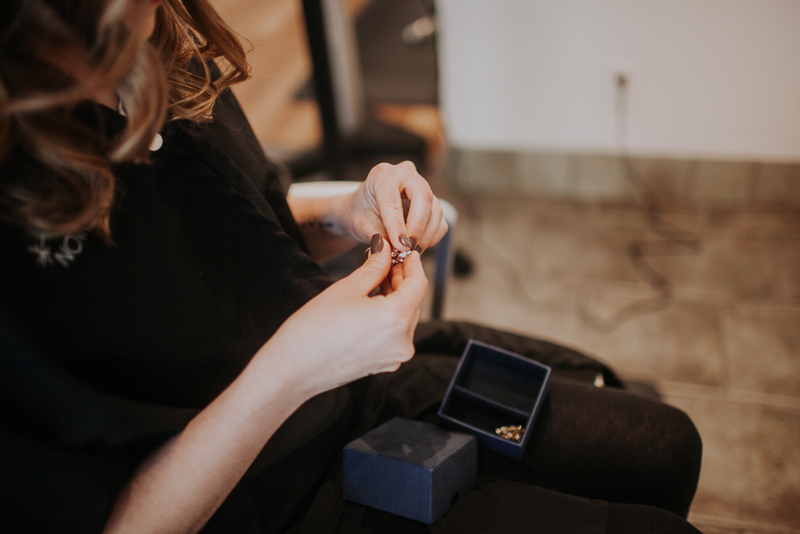 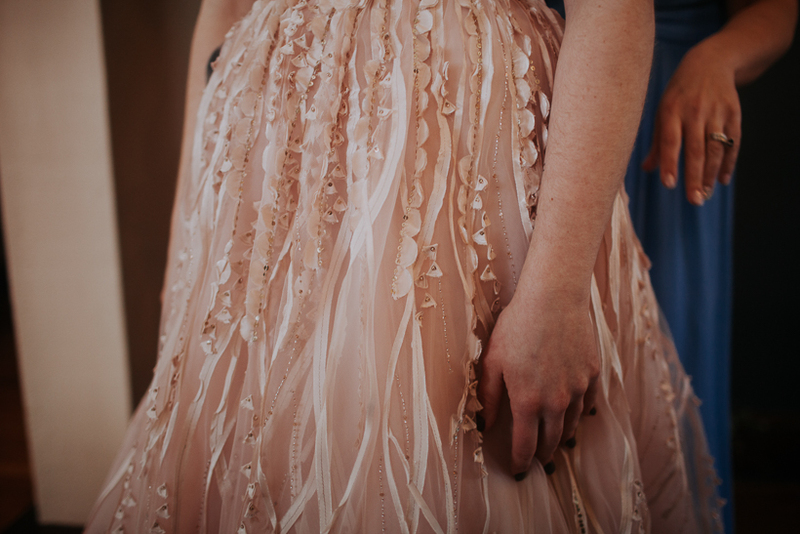 Love a salon with good light and neutral colors – a photographer’s dream! 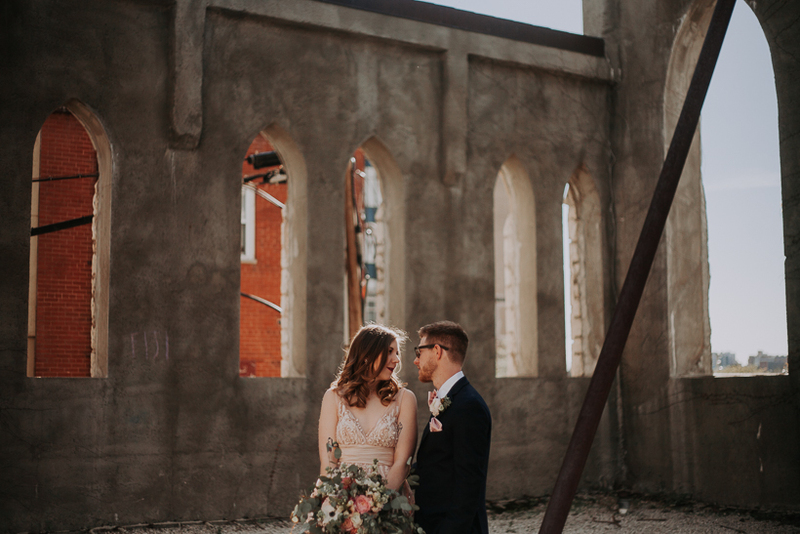 After that, we headed to a beautiful Airbnb in “South-City” with so much character I wanted to move in and never leave. 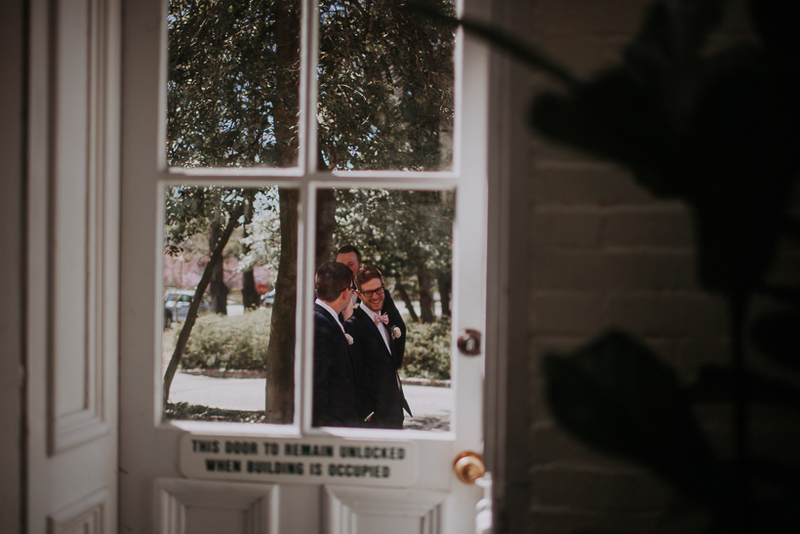 After that Ethan and I made our way a couple of blocks over to Tyler’s home where he was hanging out with his groomsmen and some close family members – and their cat! 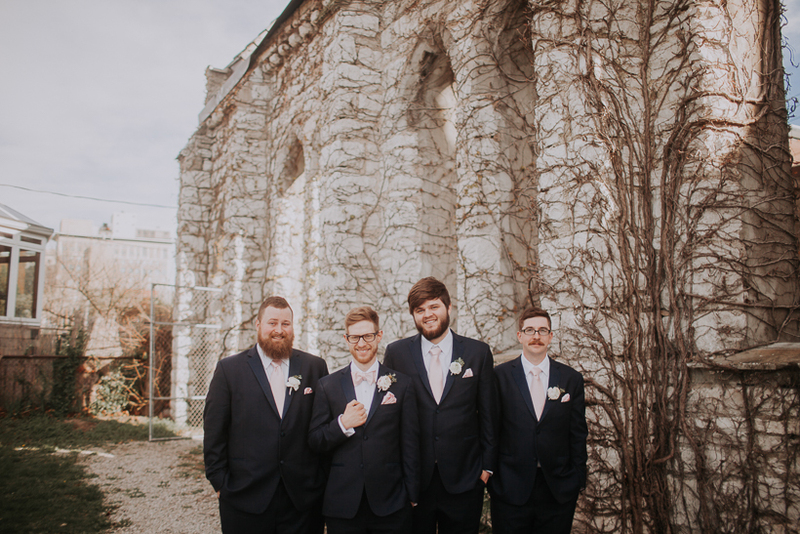 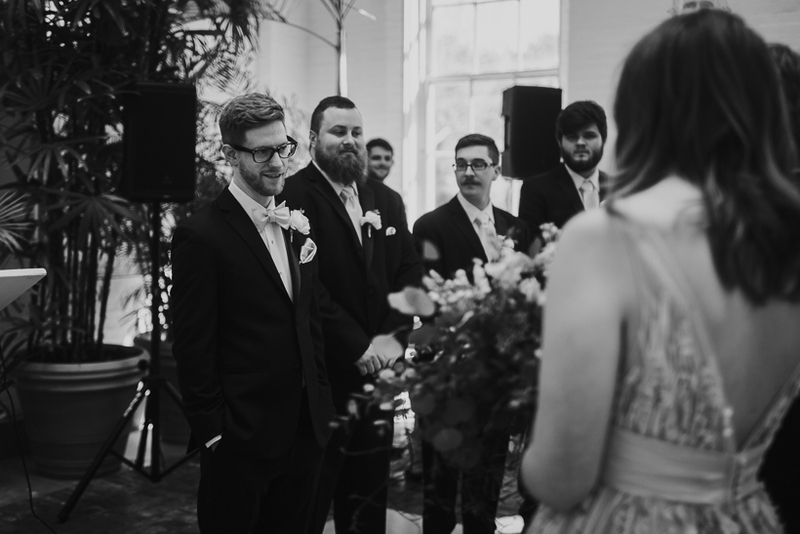 (Highlight of the day for me TBH) Once Tyler and his groomsmen were ready, we all piled into our cars and headed for the chapel! 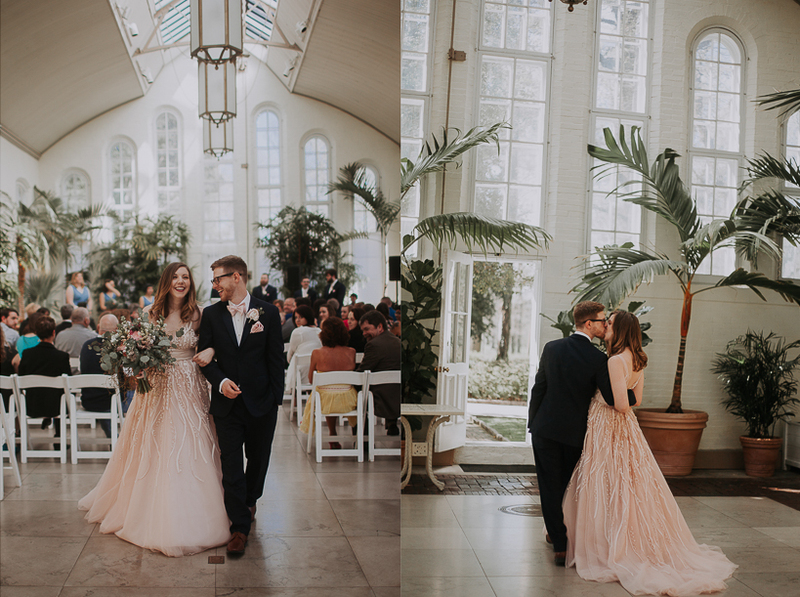 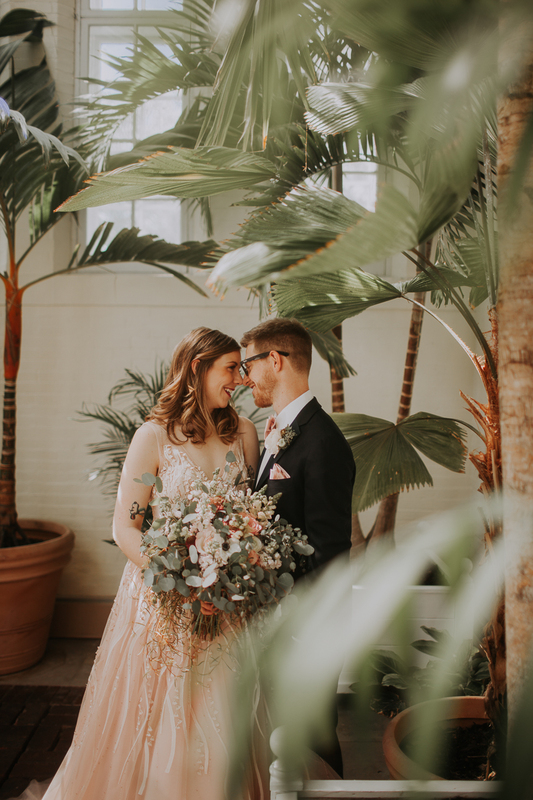 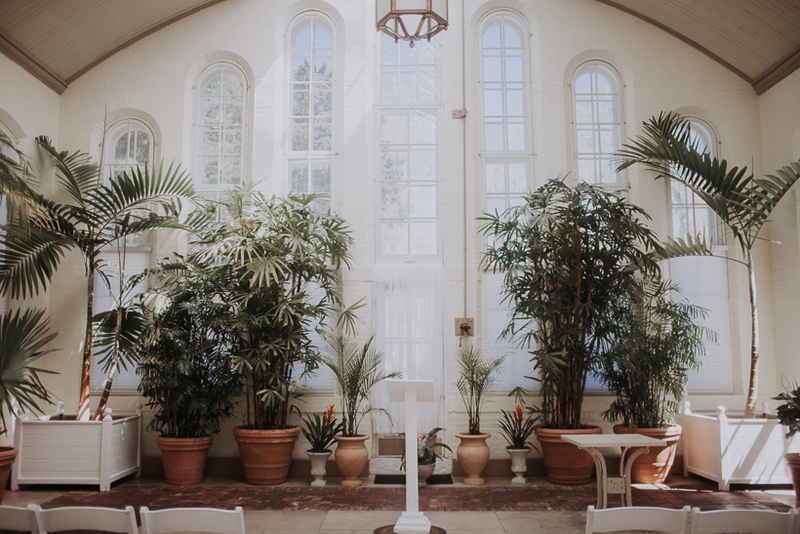 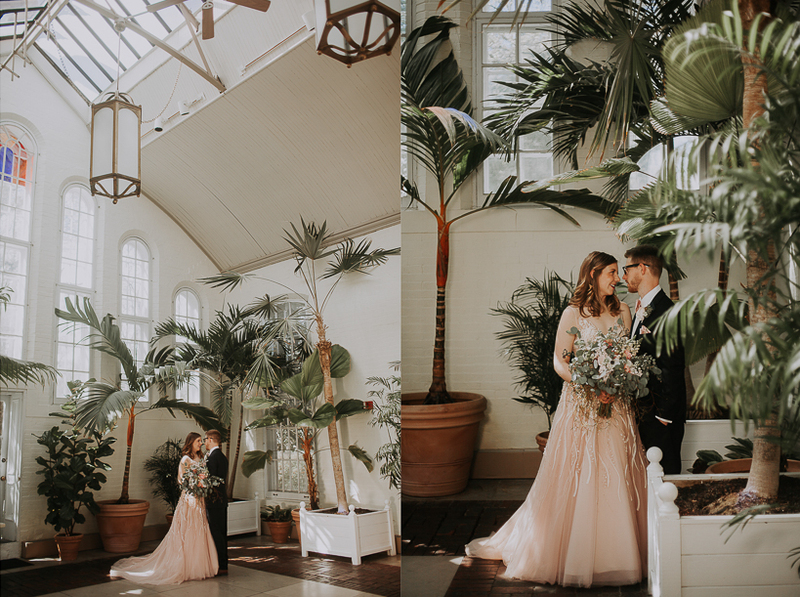 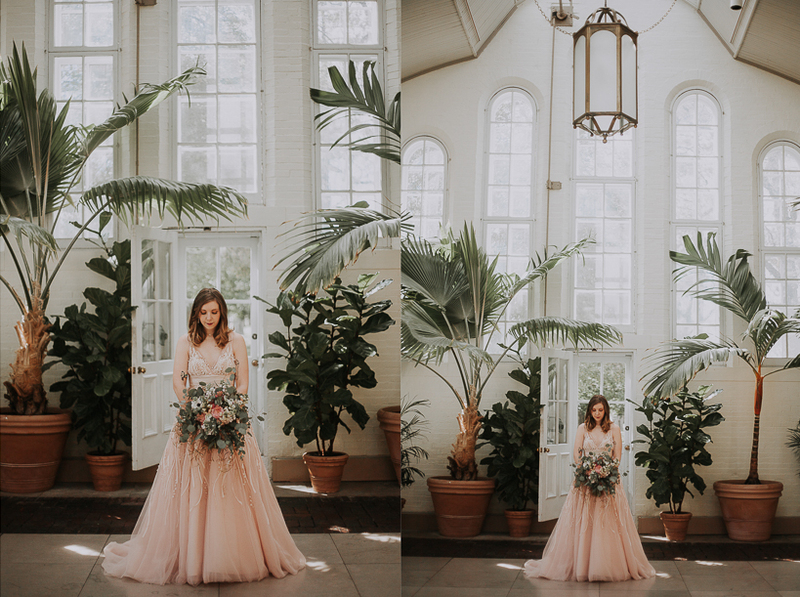 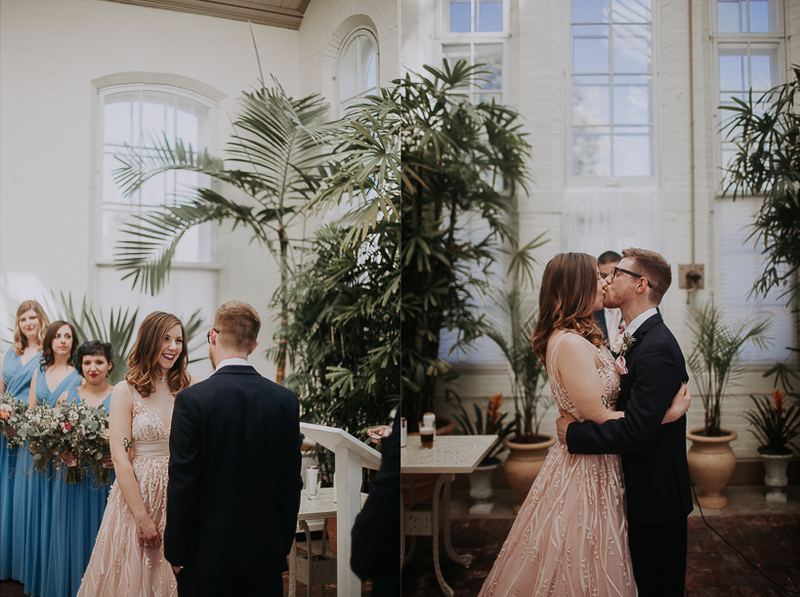 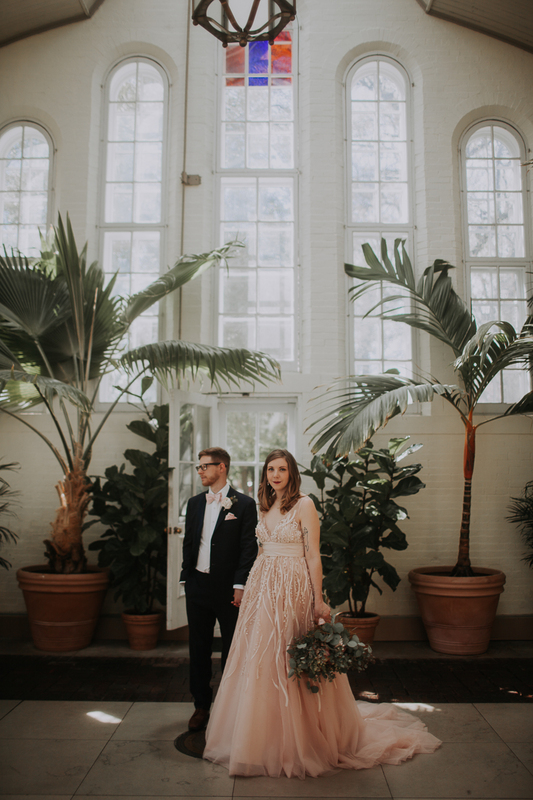 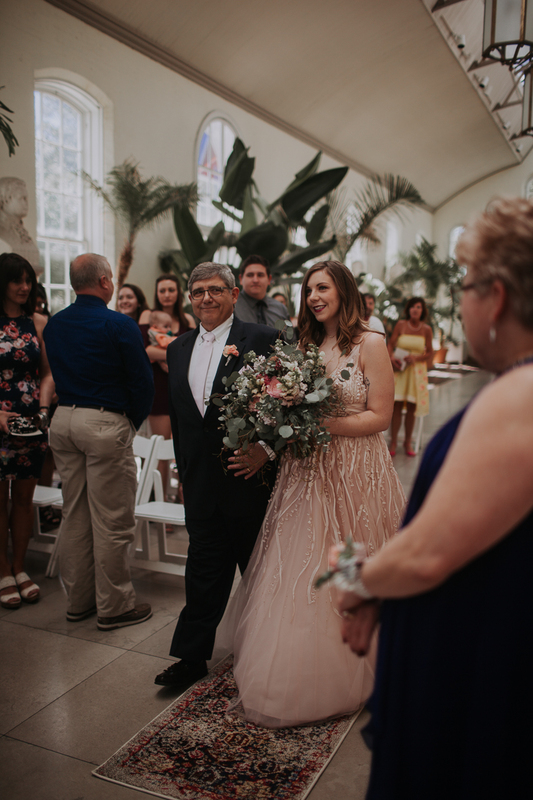 Well, in this case, the “chapel” is more light and beautiful greenhouse in the heart of Saint Louis’ Historic Forest Park called the Piper Palm House! 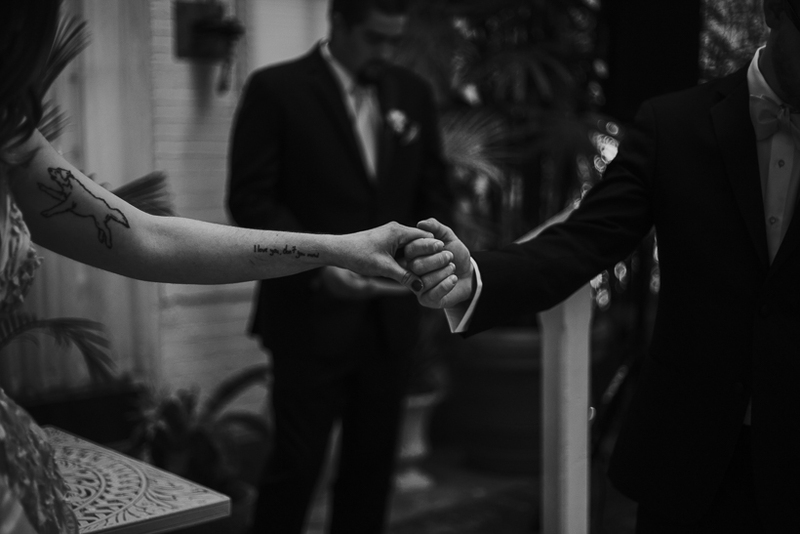 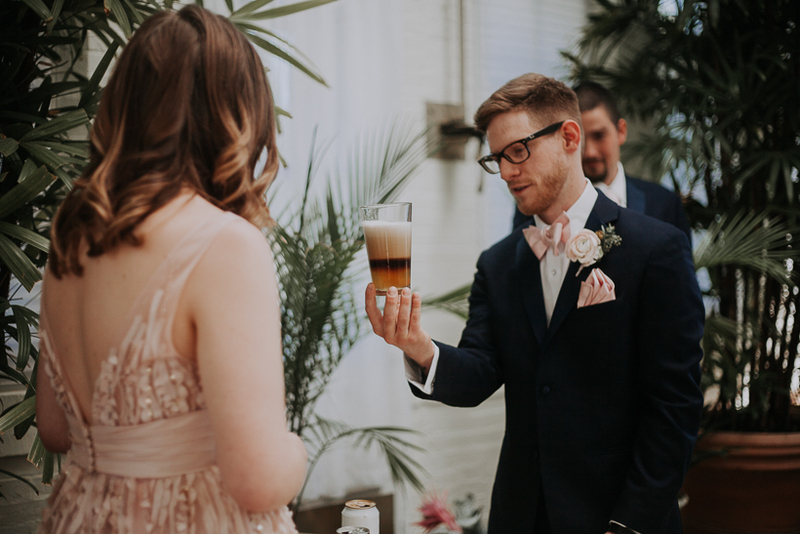 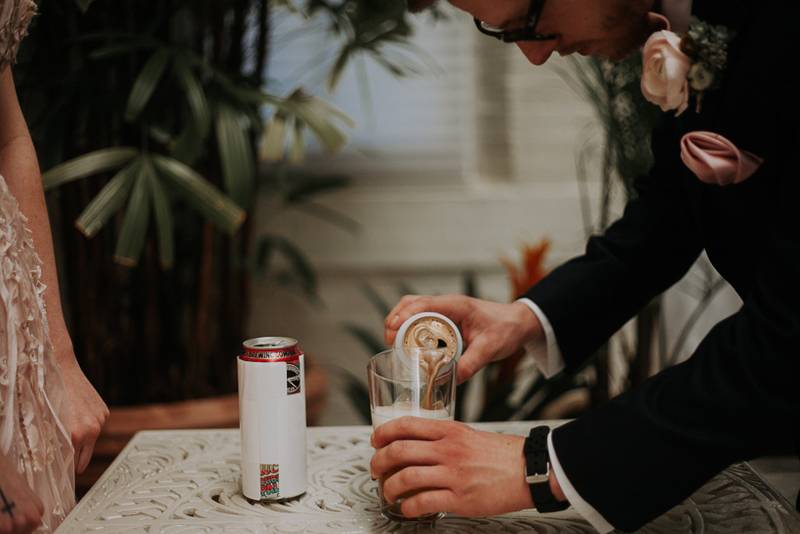 Between the heartfelt vows and tears, MJ and Tyler poured a “black & tan” for their unity ceremony. 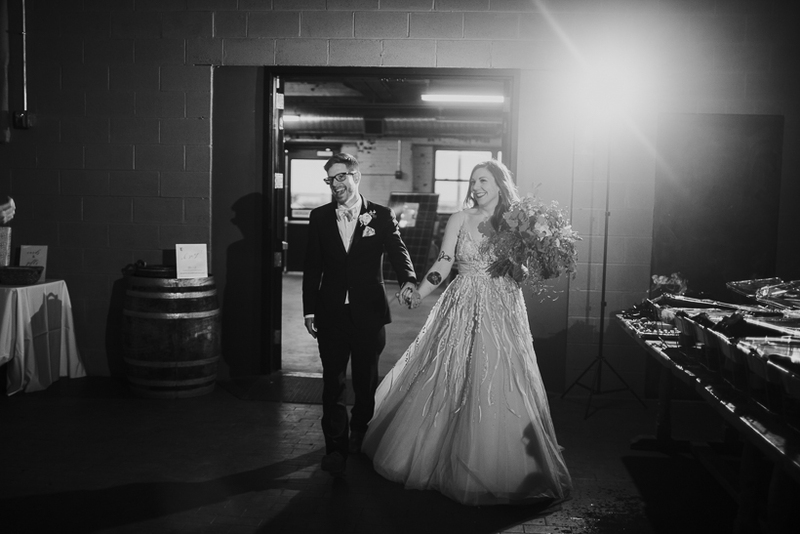 Which was so cool, considering Tyler is a brewer for Perennial Artisan Ales! 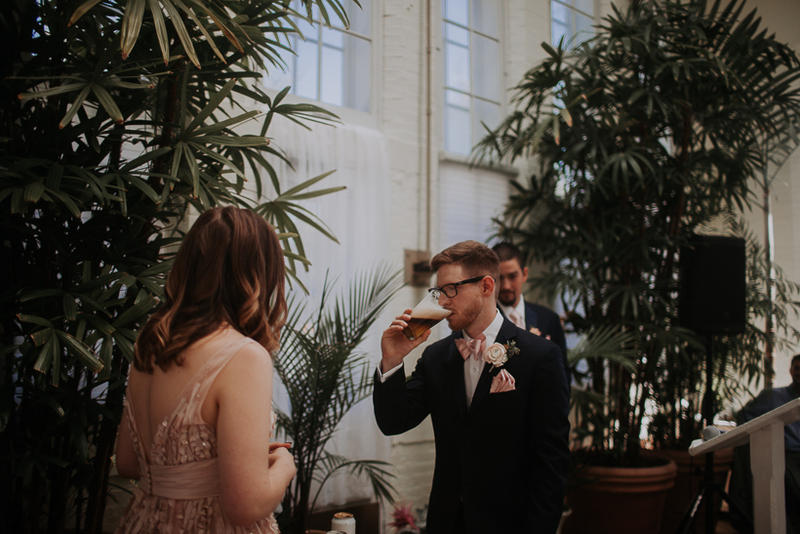 There were lots of beer lovers in attendance (including us!) 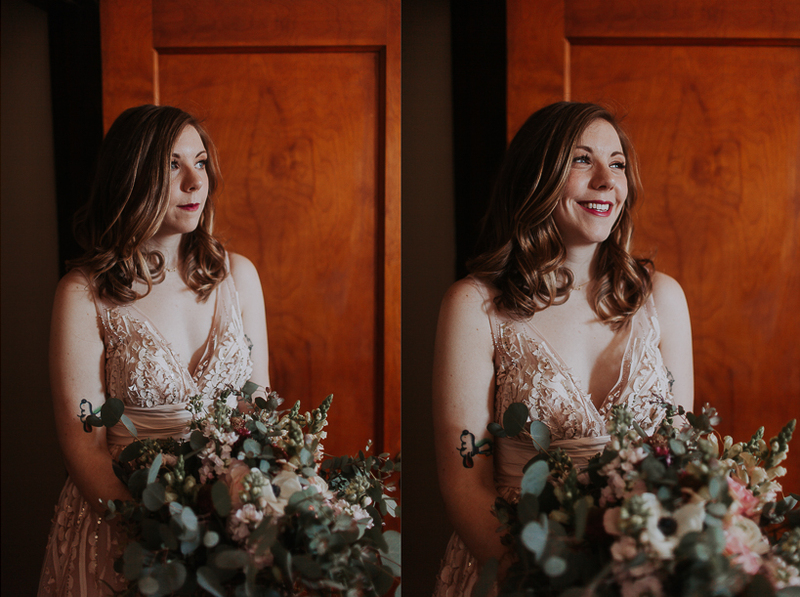 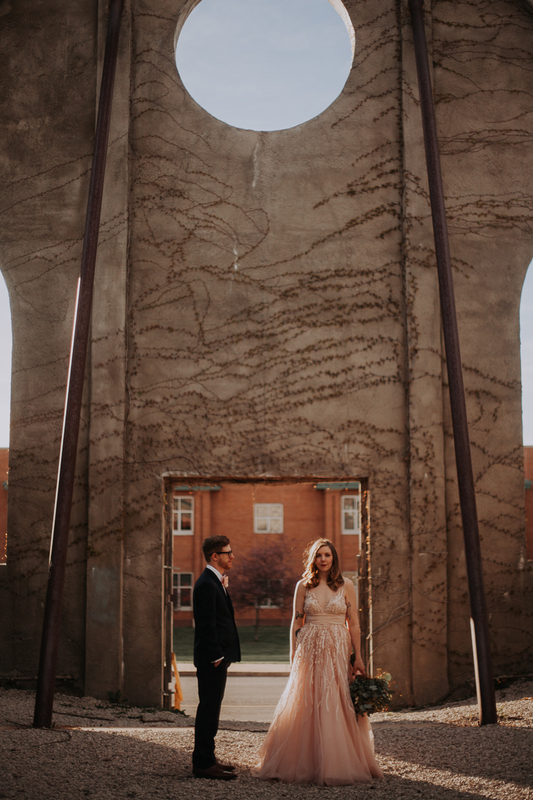 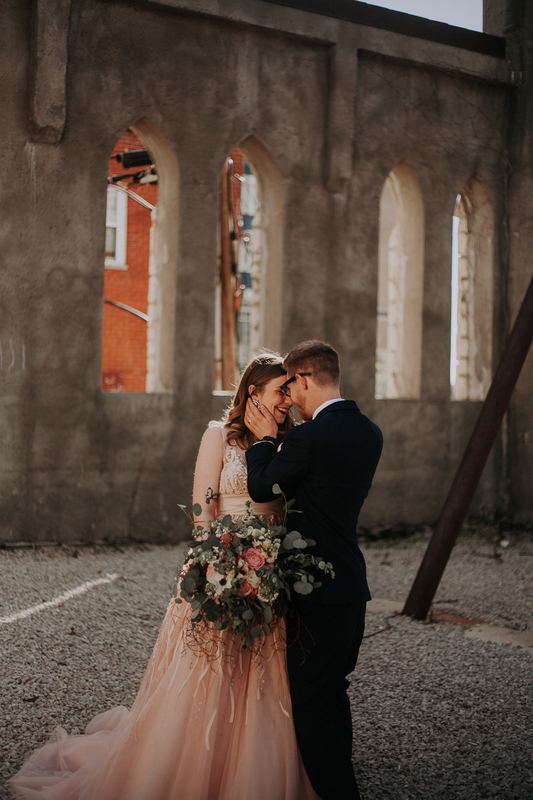 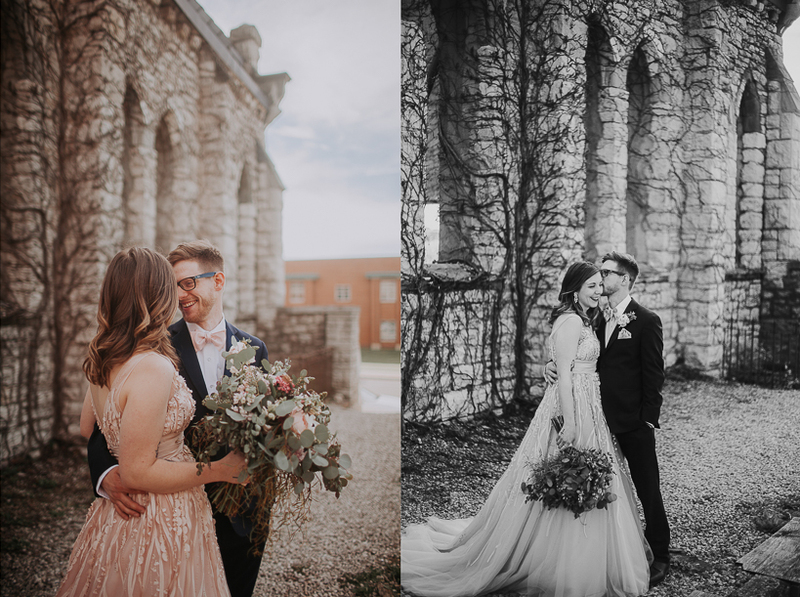 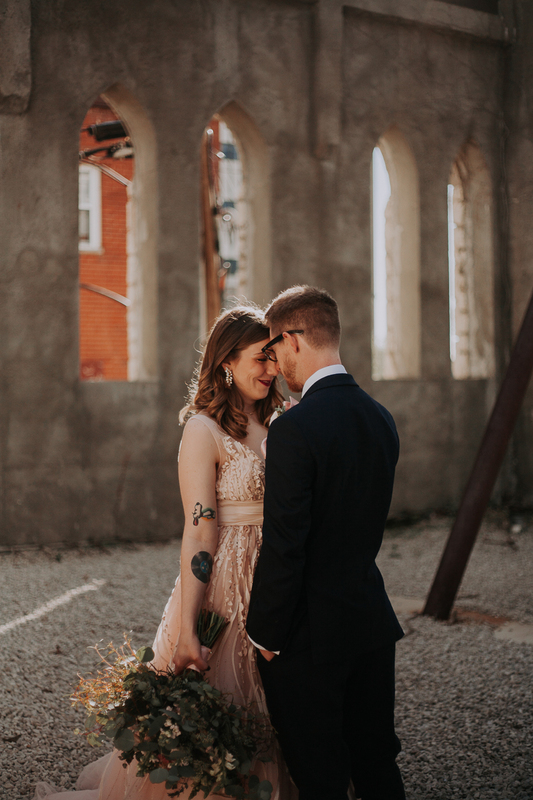 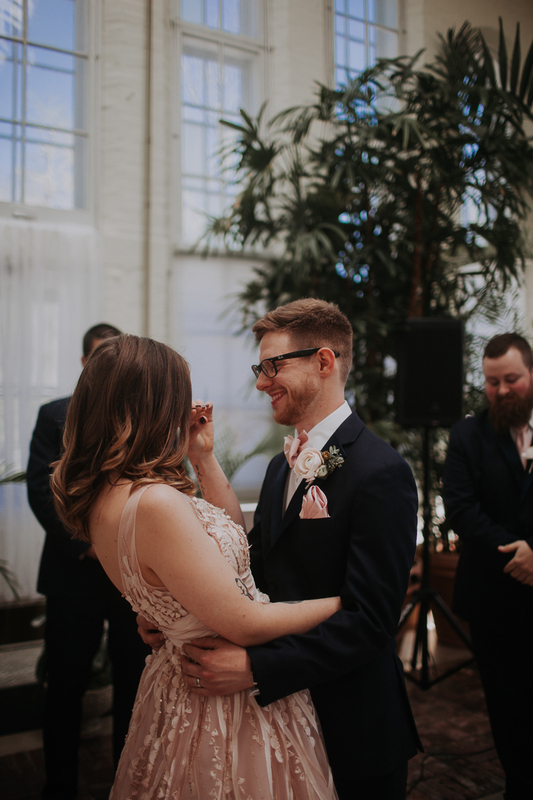 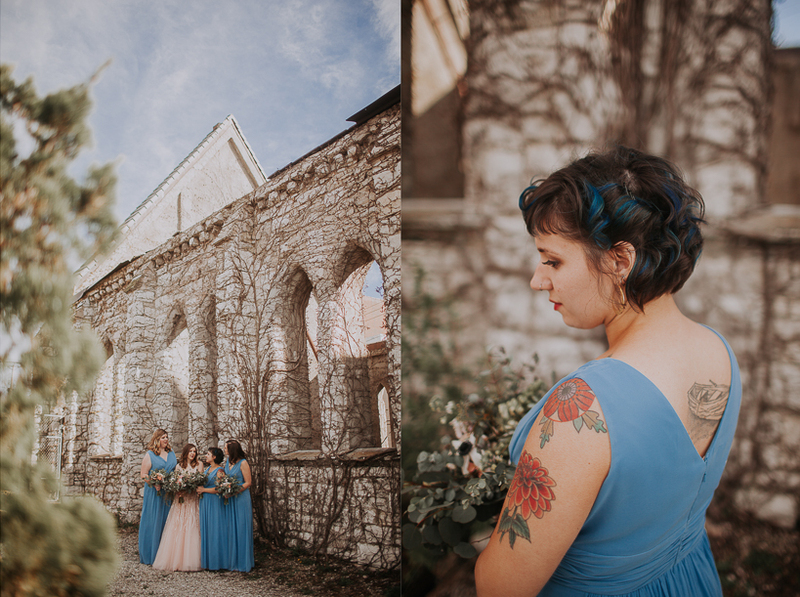 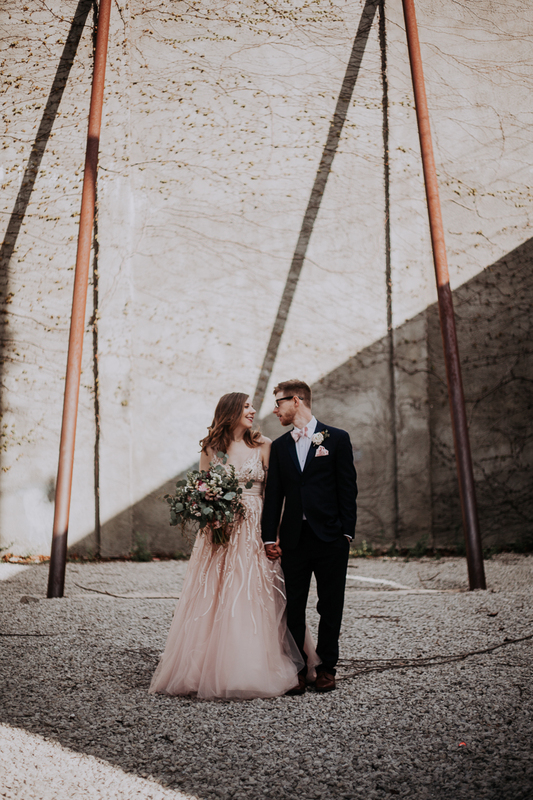 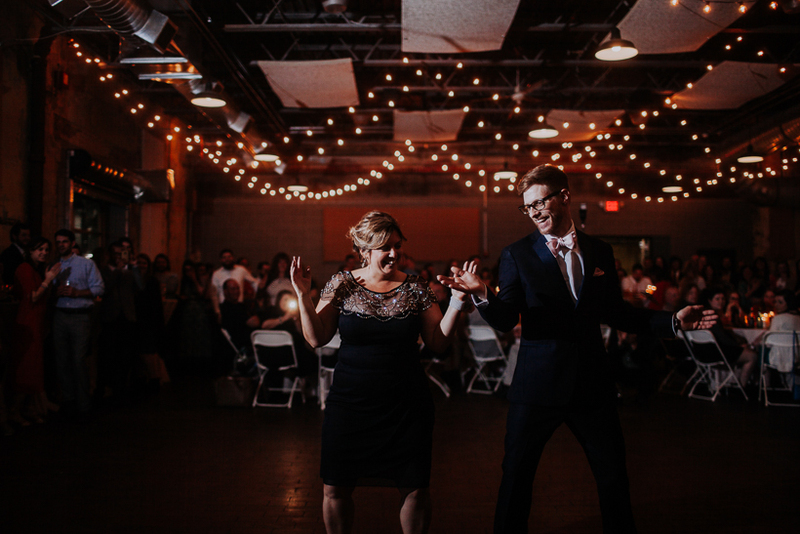 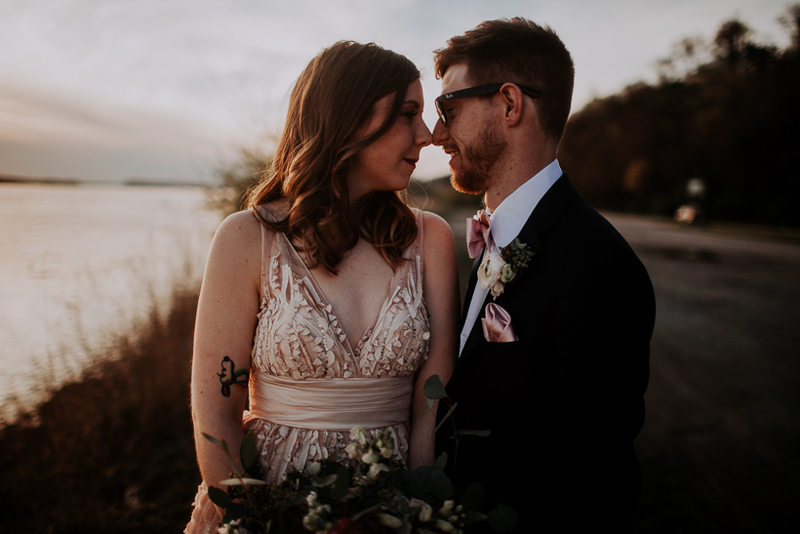 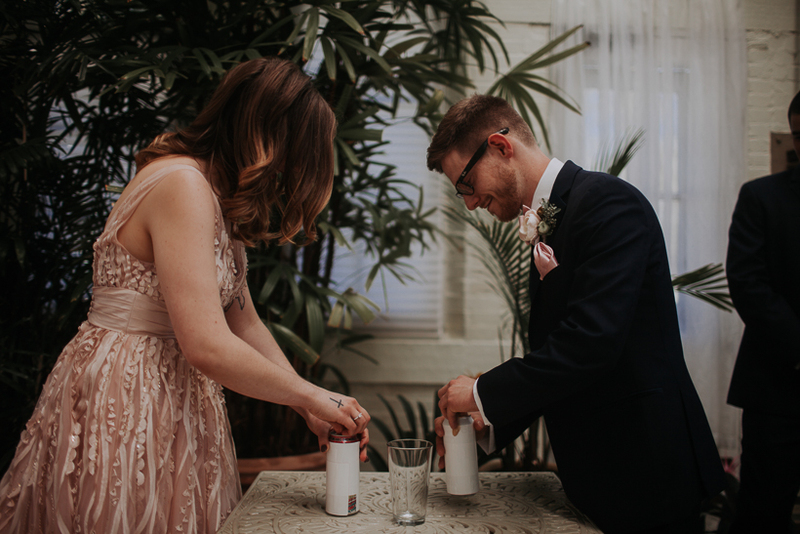 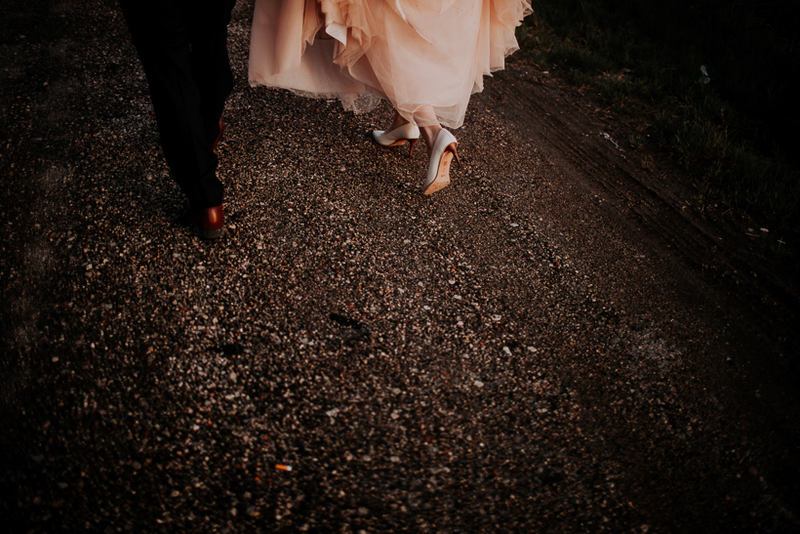 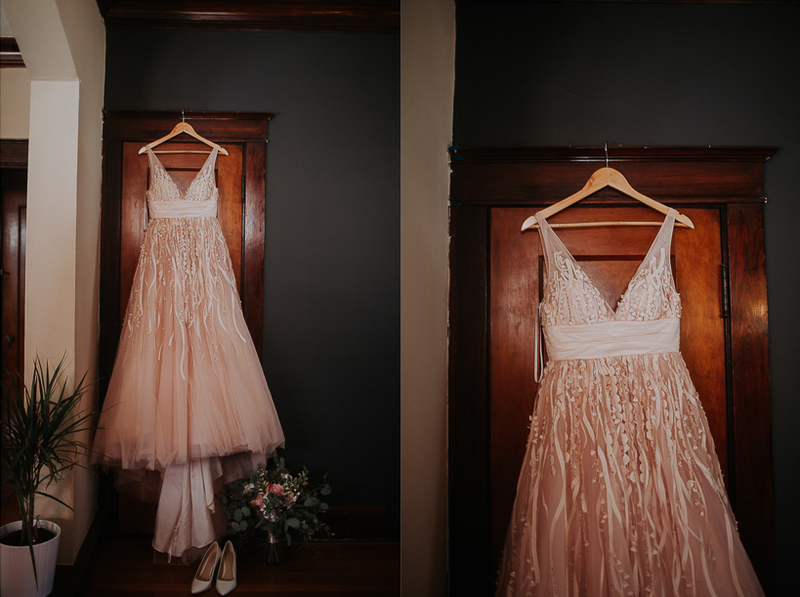 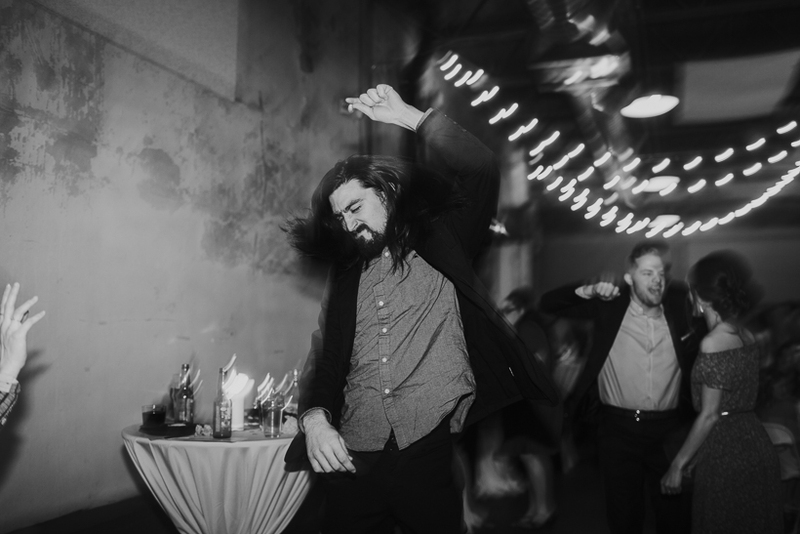 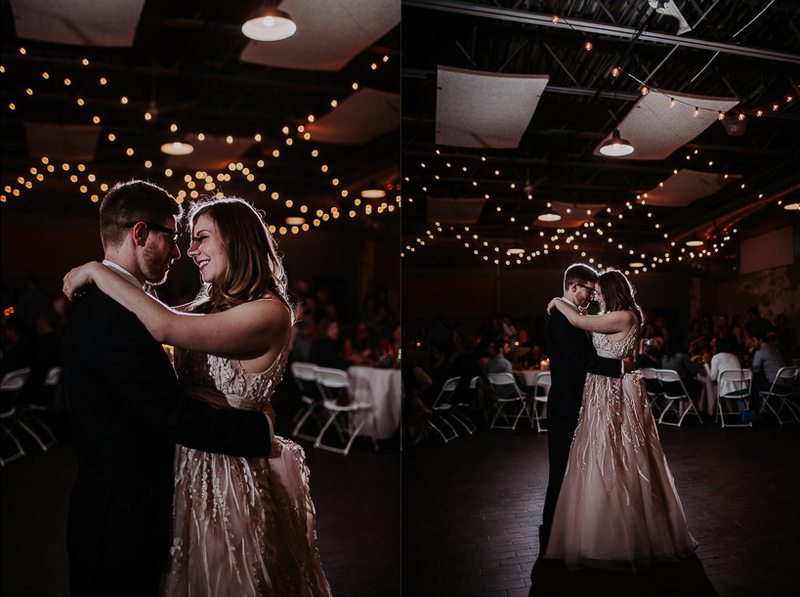 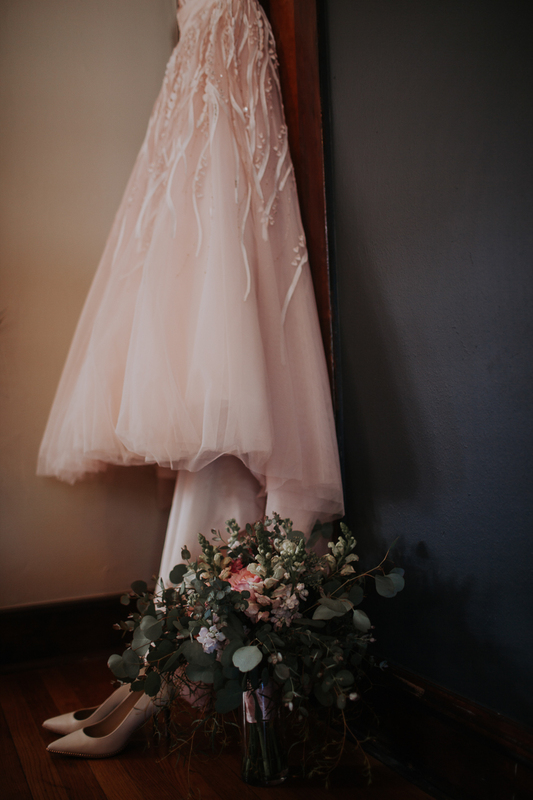 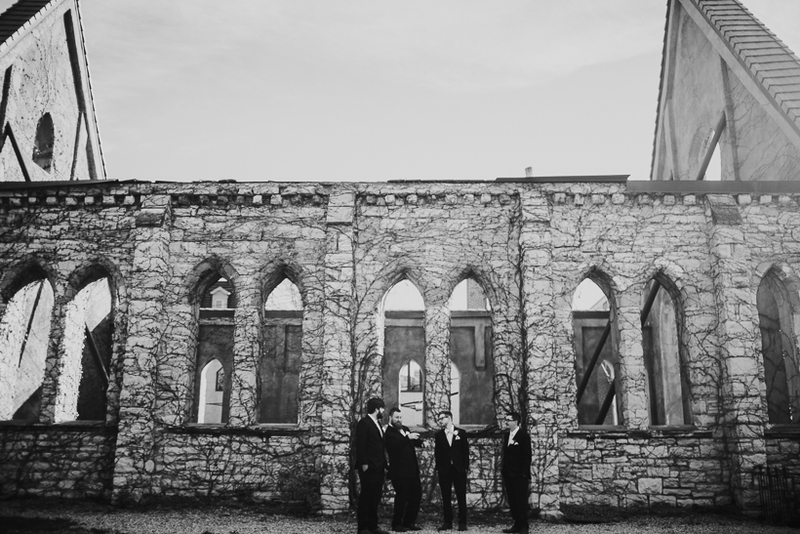 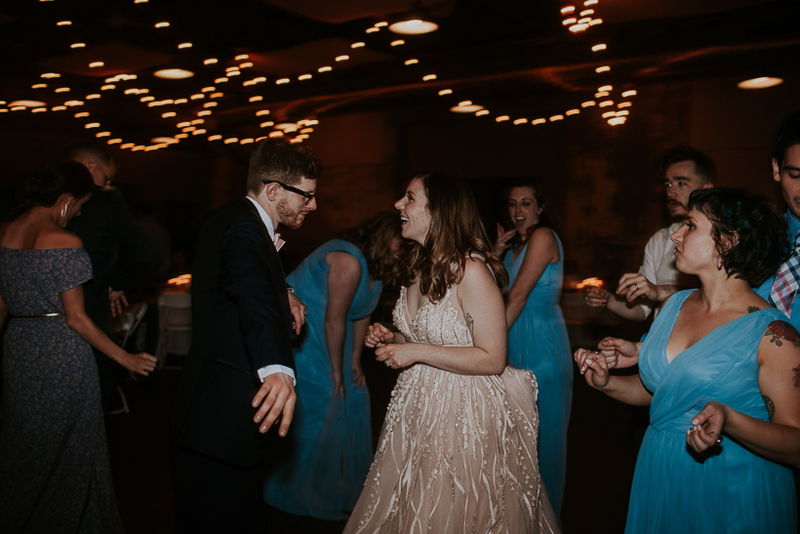 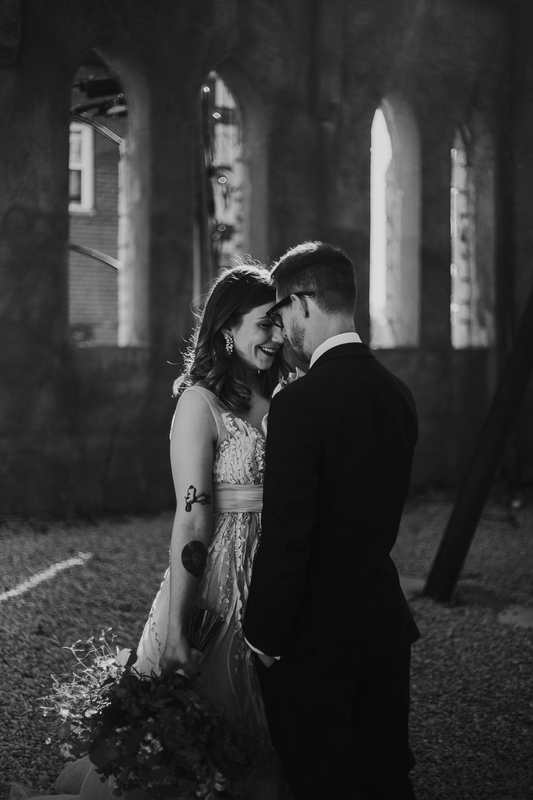 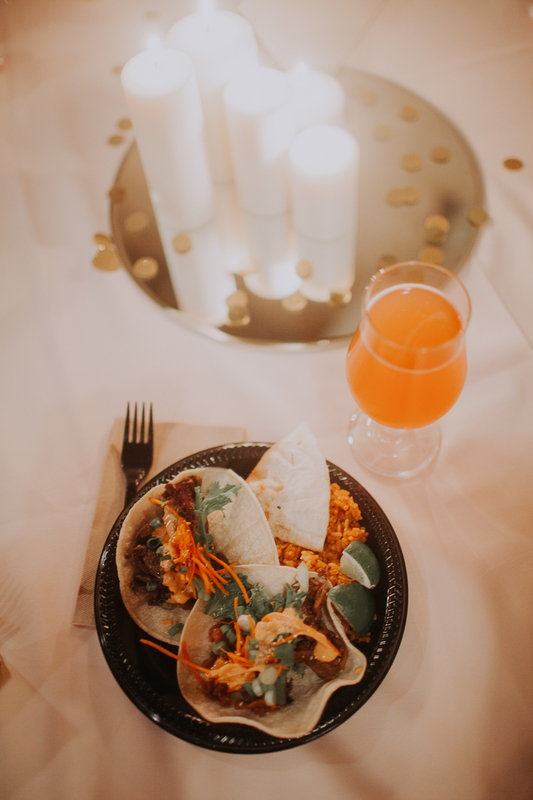 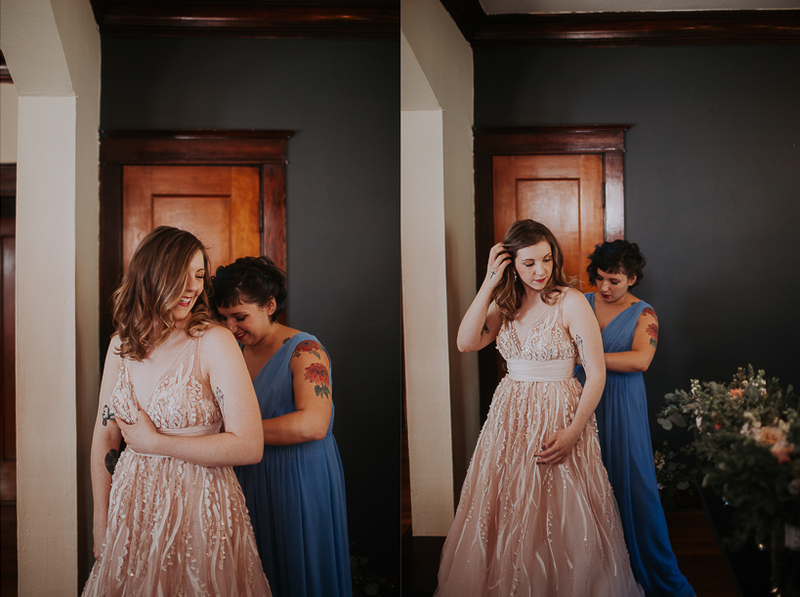 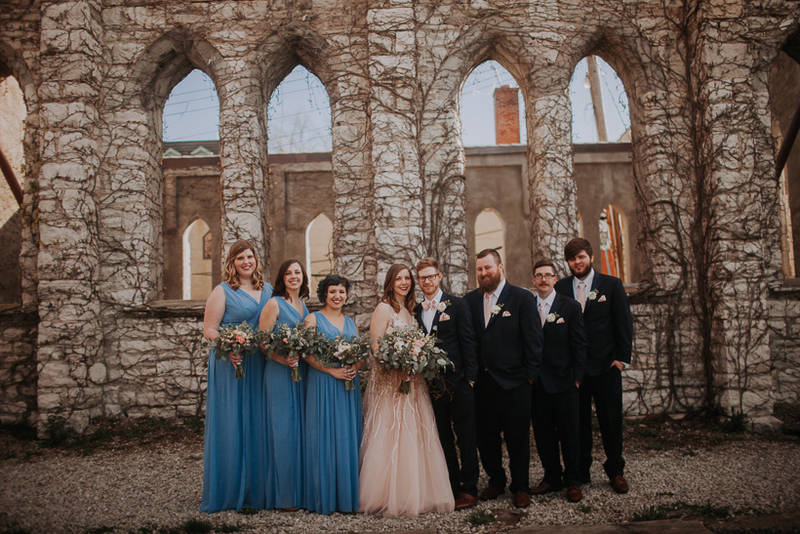 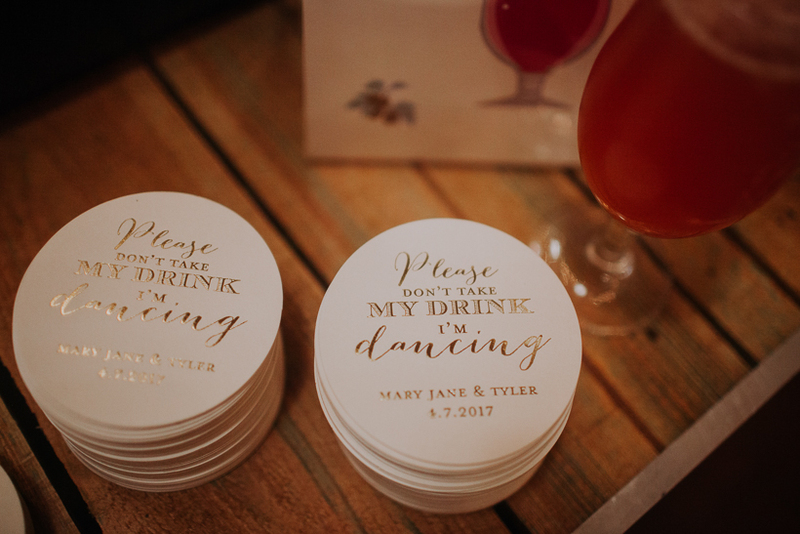 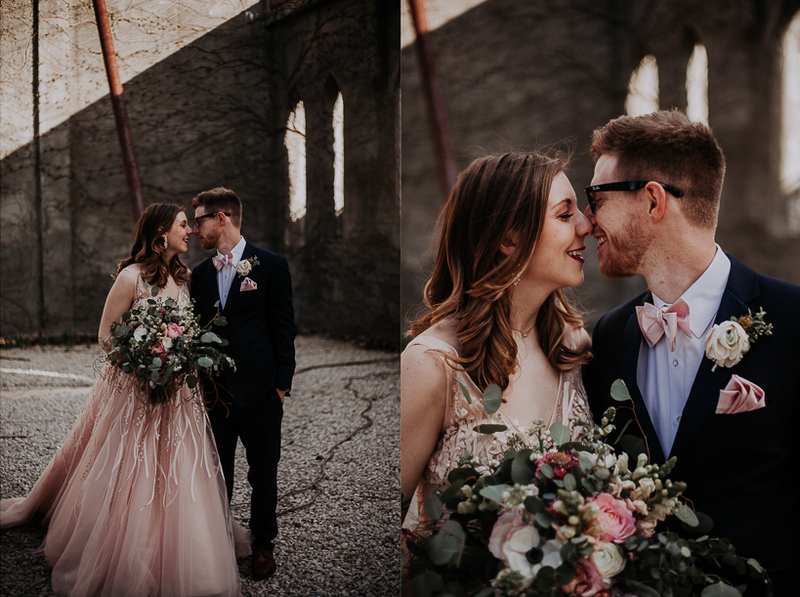 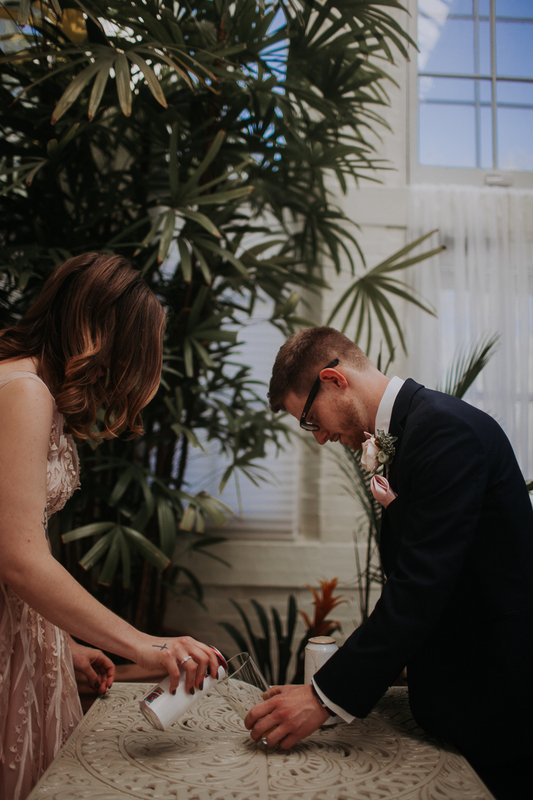 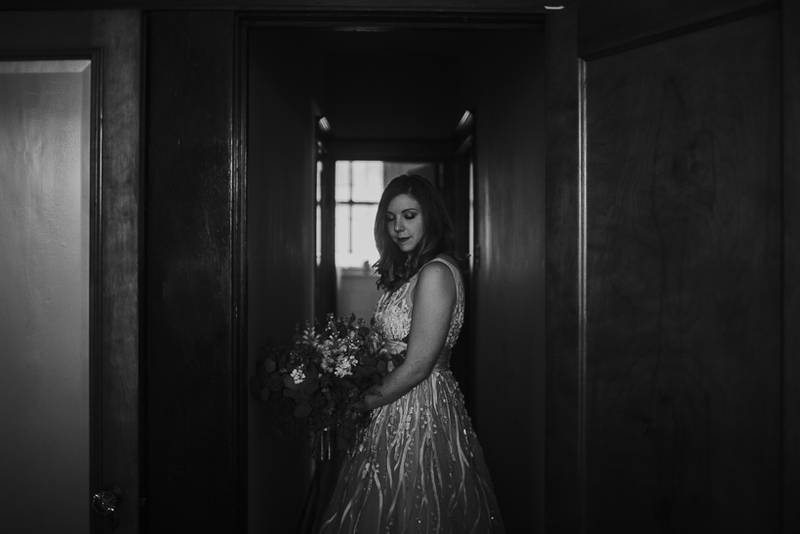 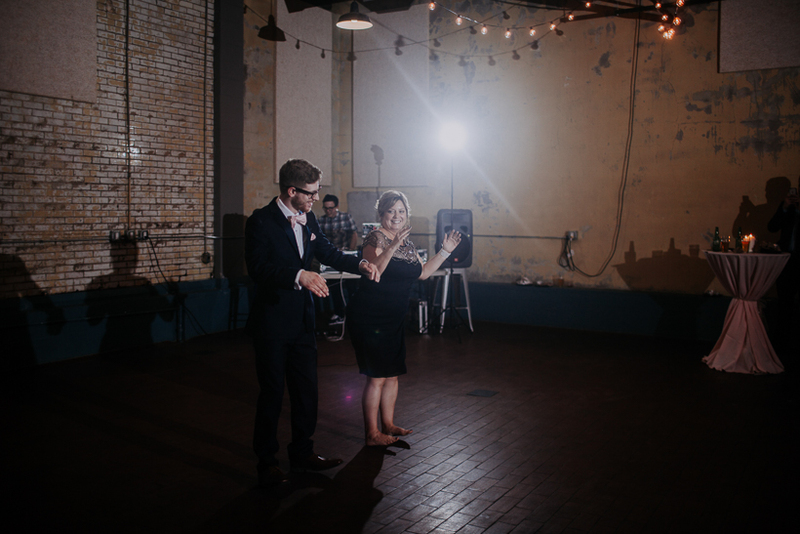 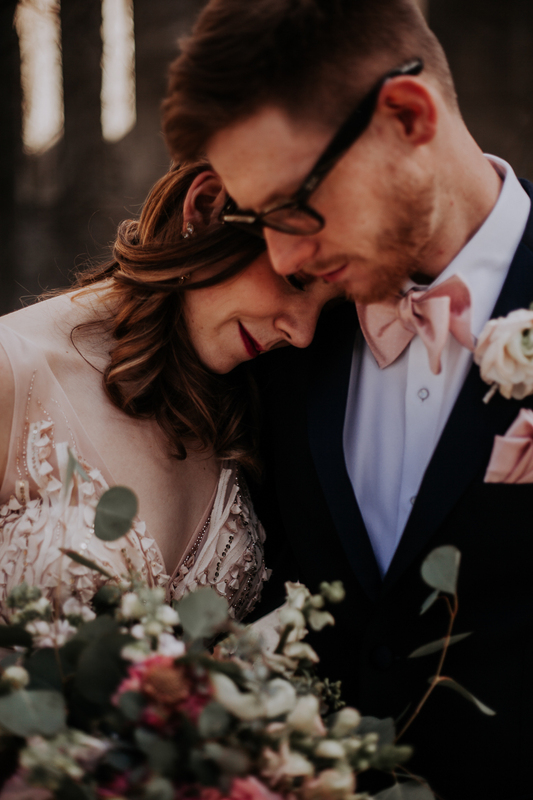 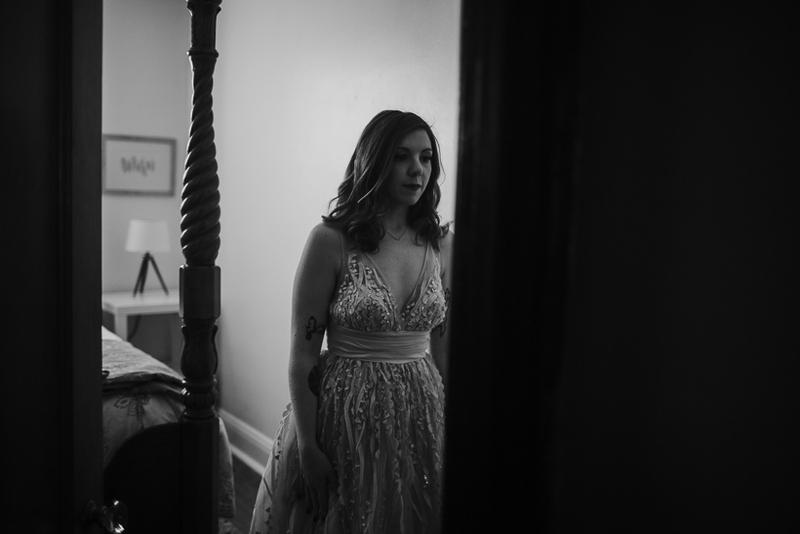 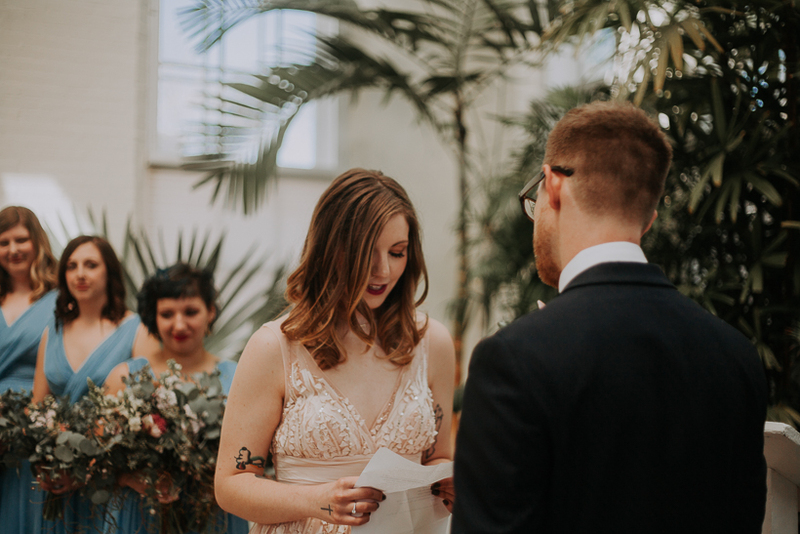 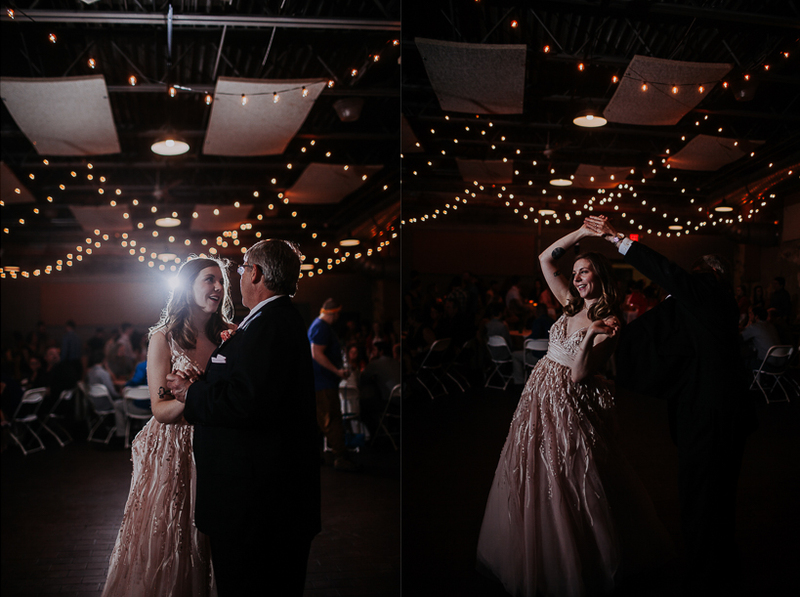 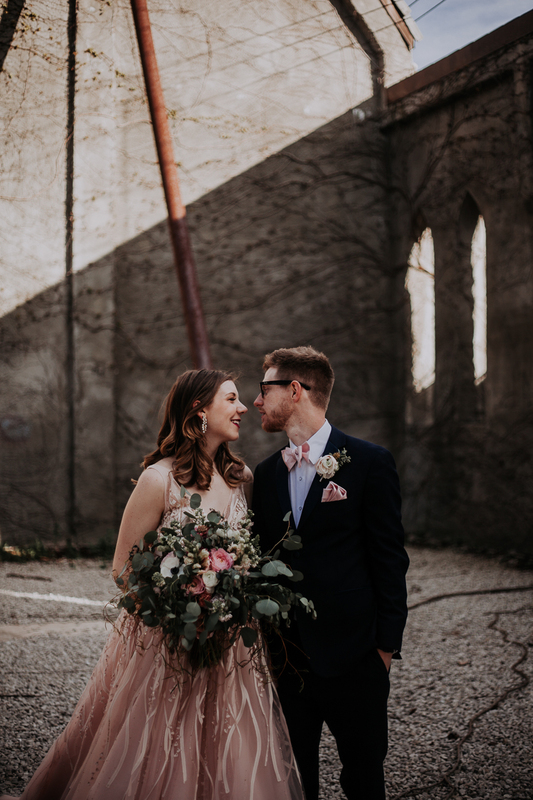 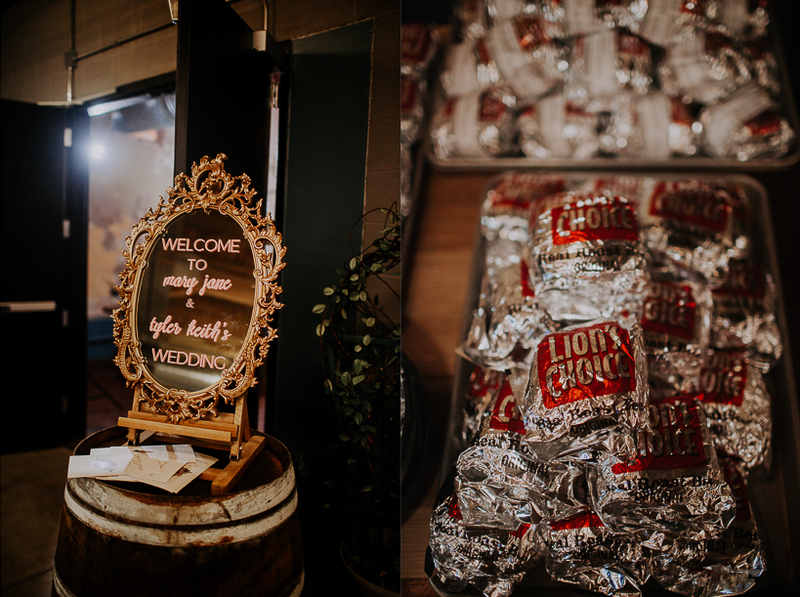 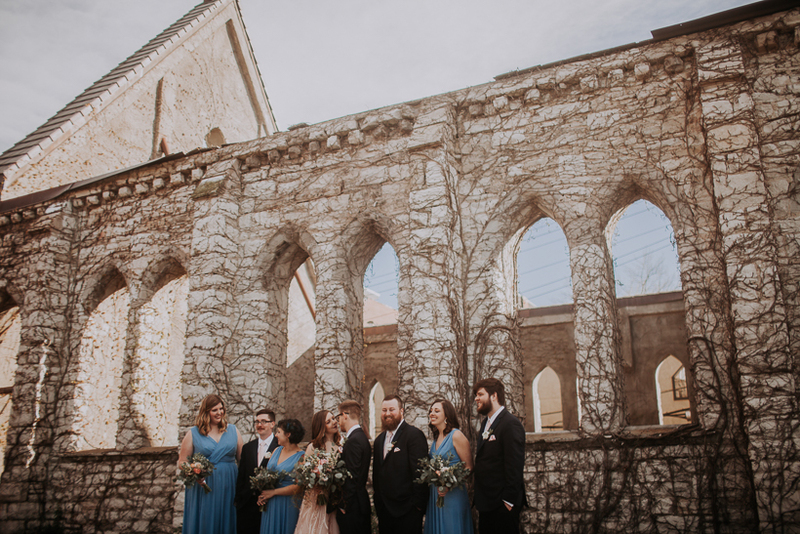 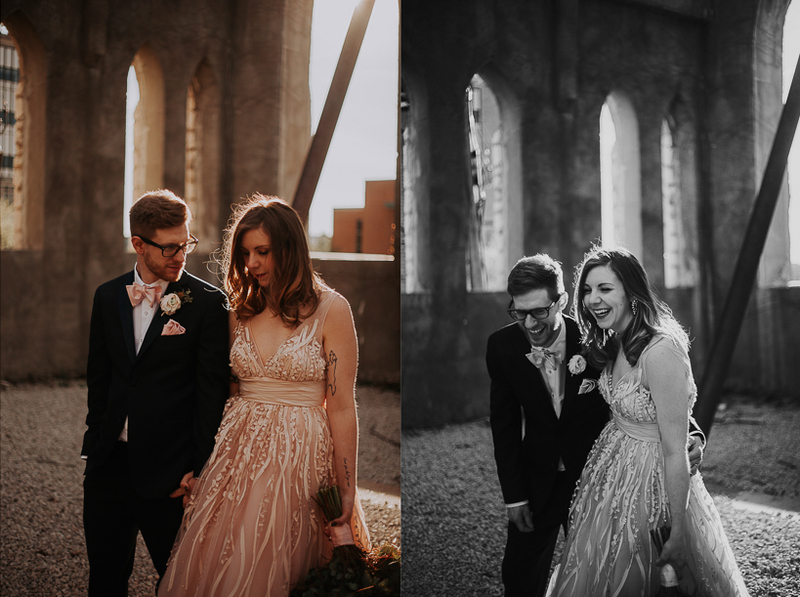 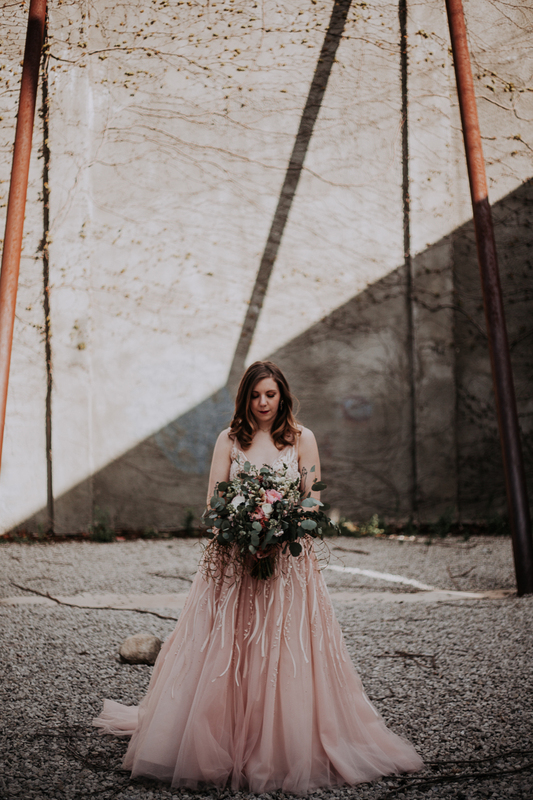 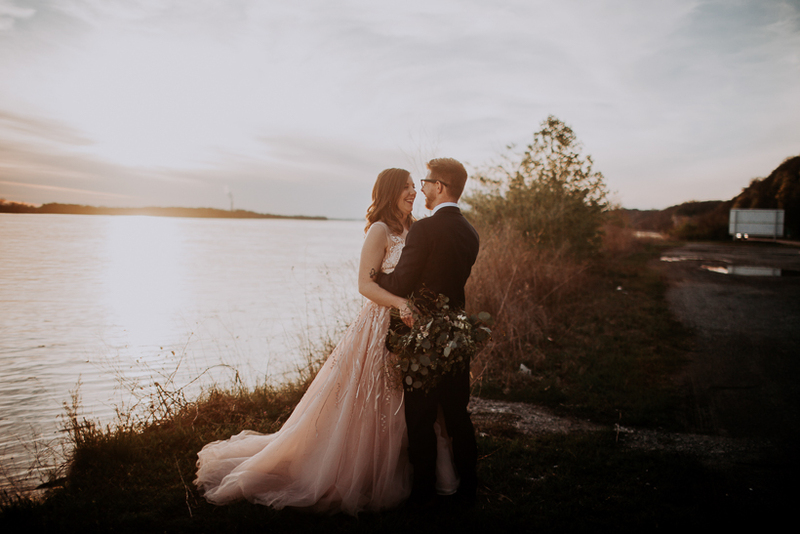 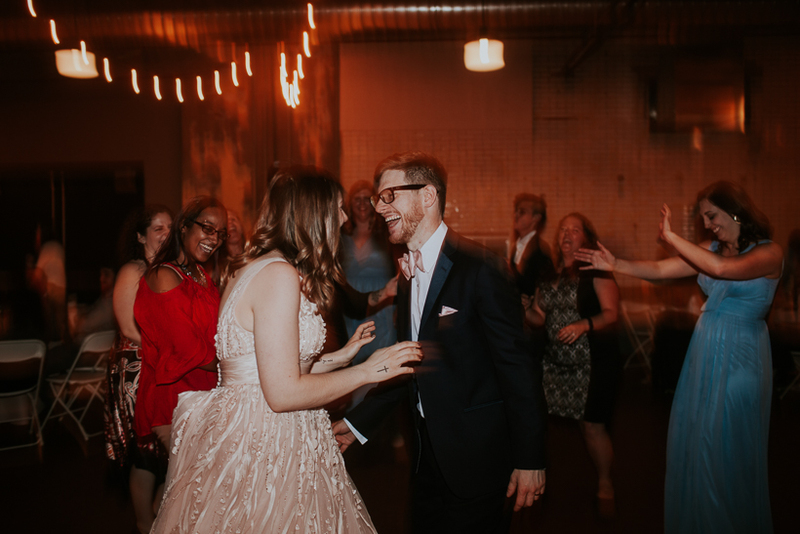 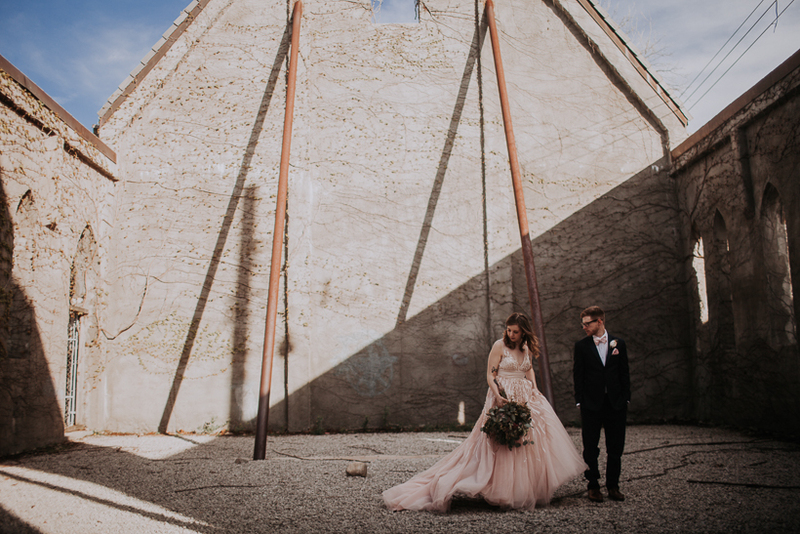 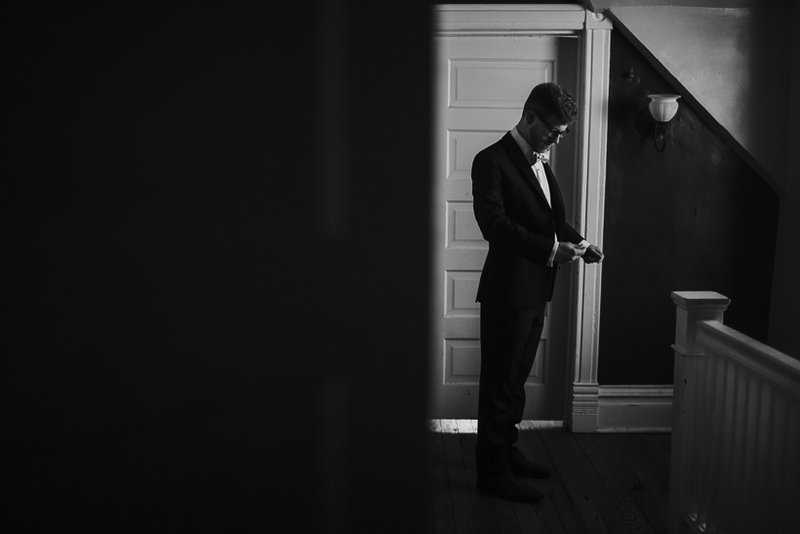 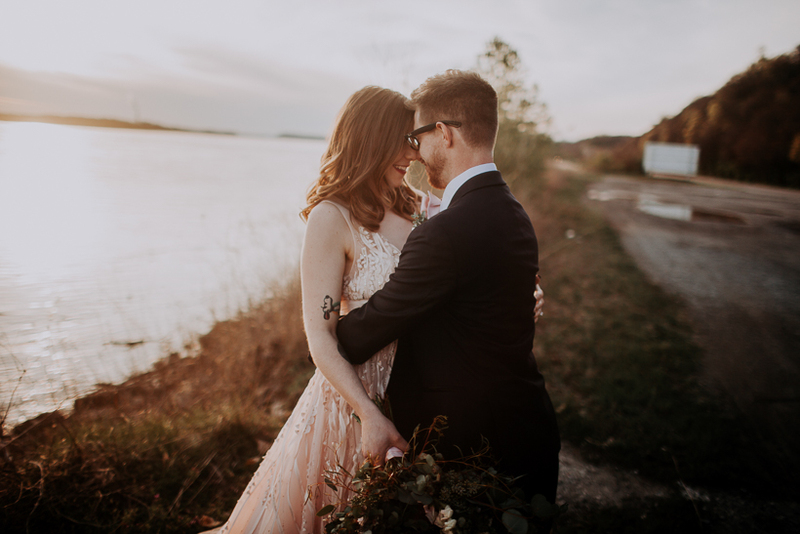 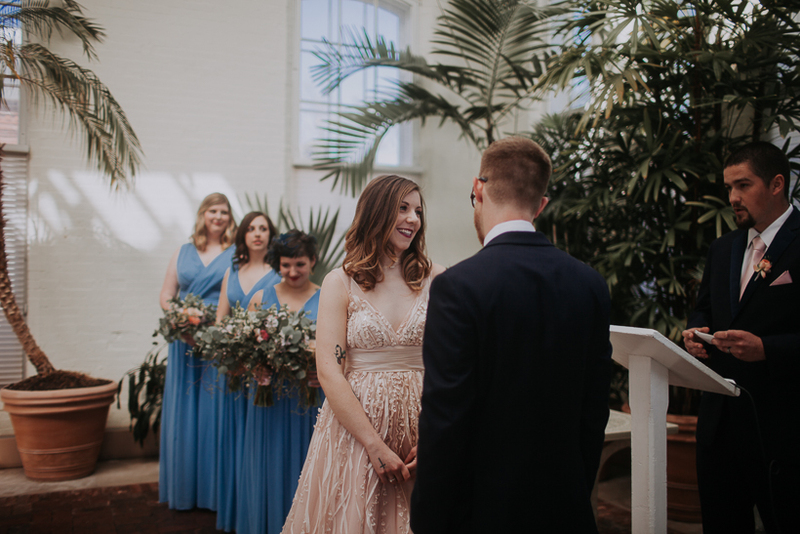 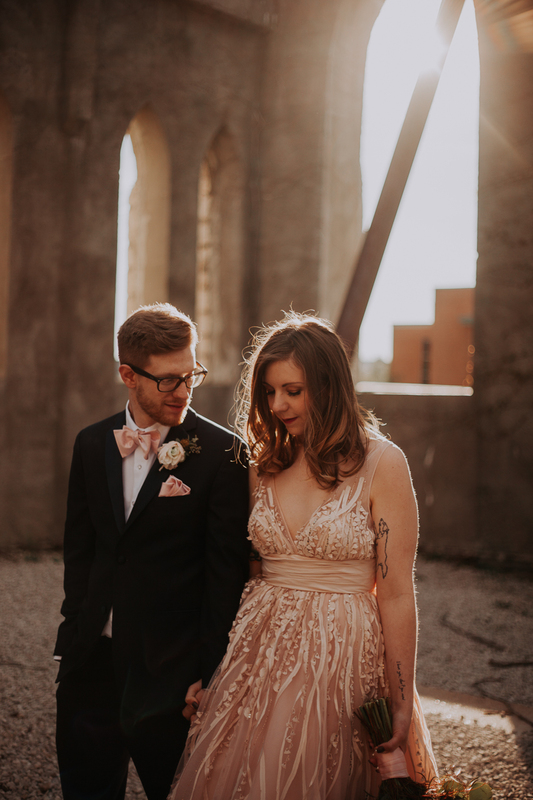 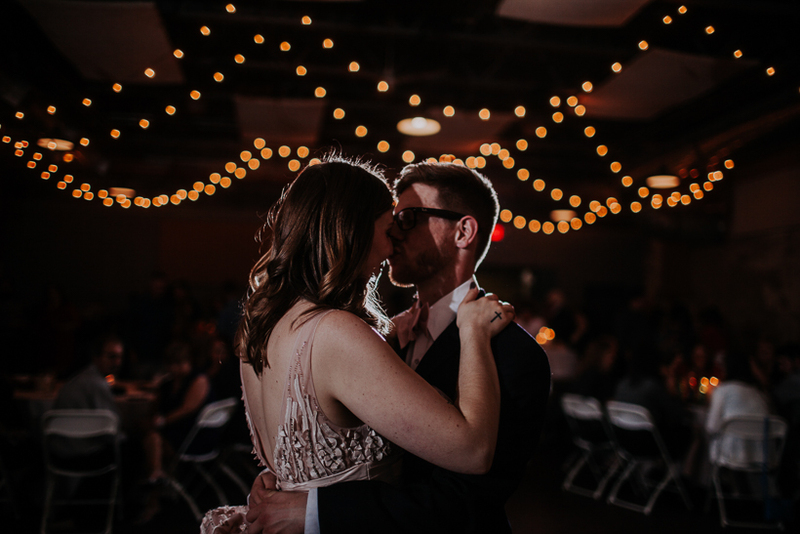 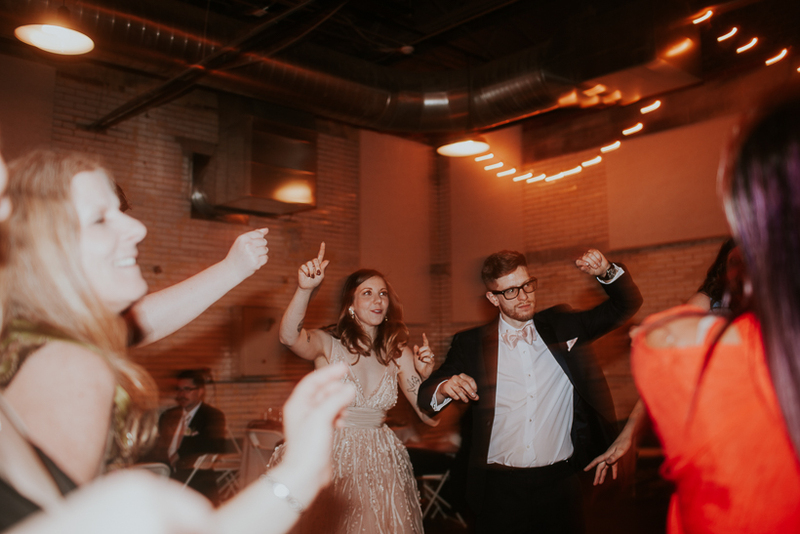 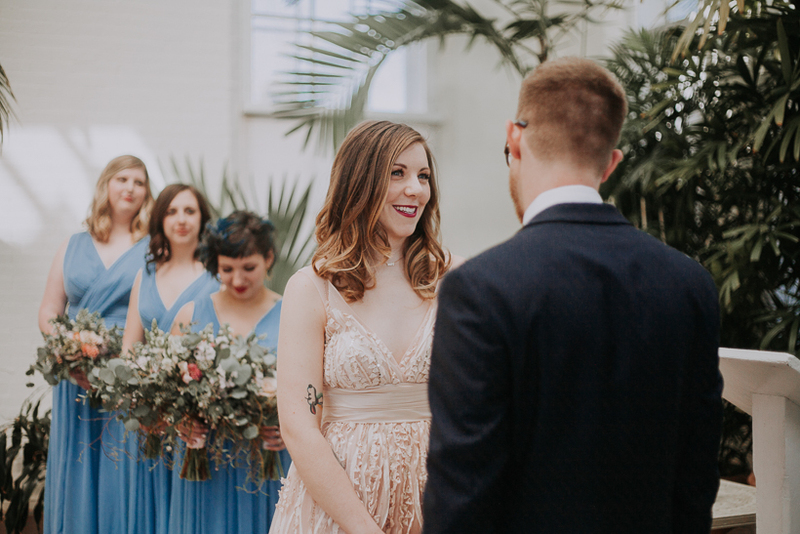 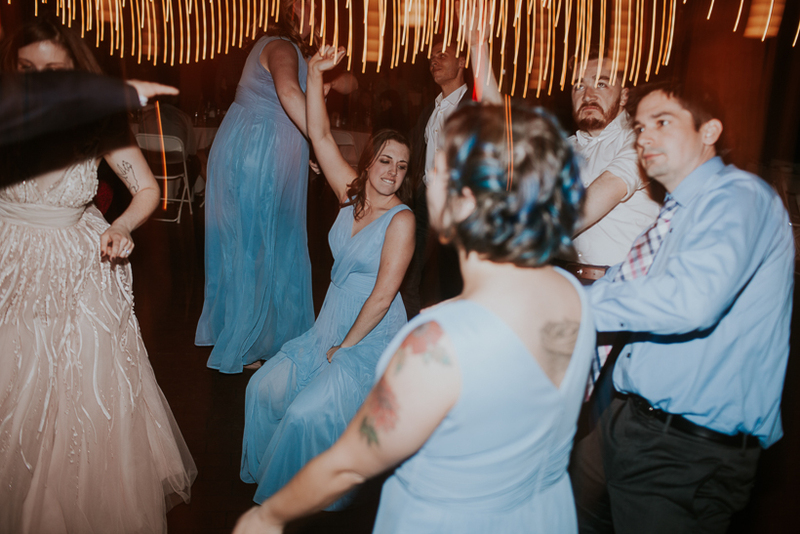 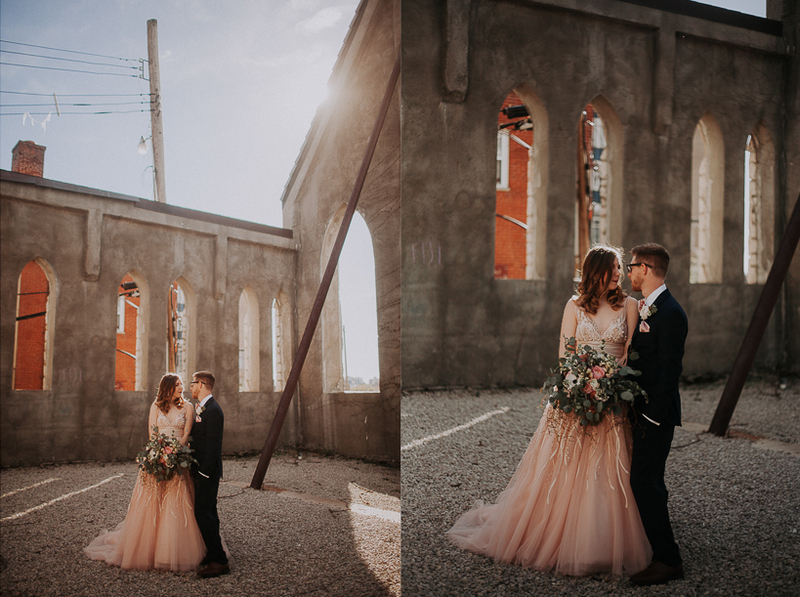 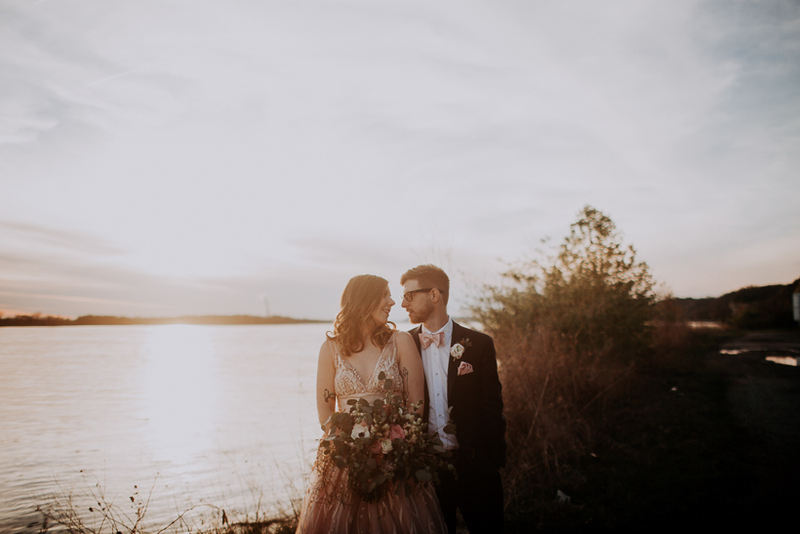 After shooting their wedding portraits at an abandoned church we headed to Alton, IL to the Old Bakery Beer Co. to celebrate and eat Seoul Taco and dance the night away – and boy did they (and us) dance! 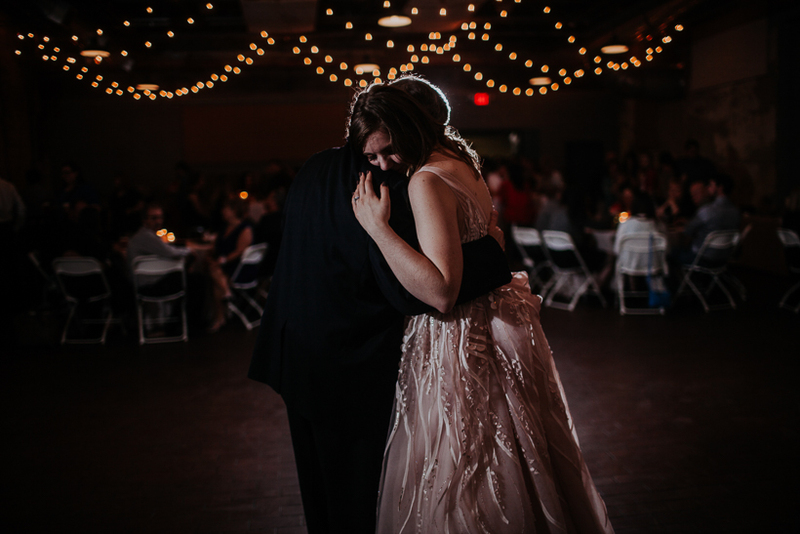 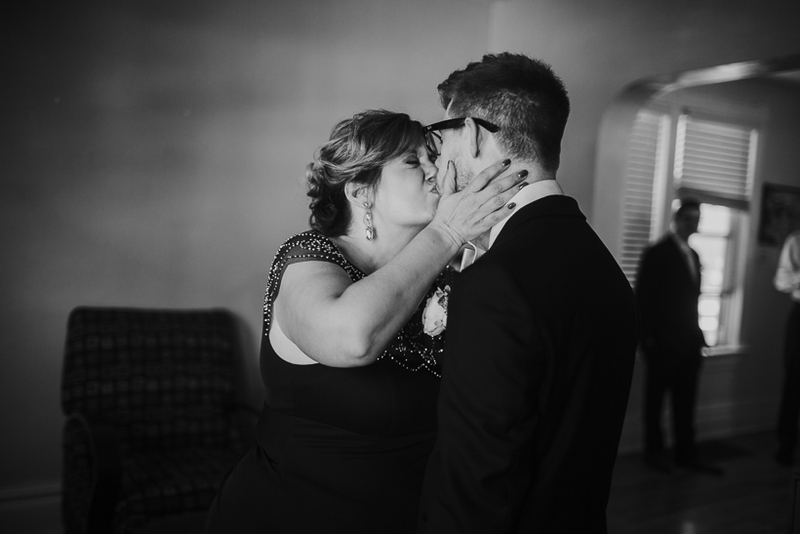 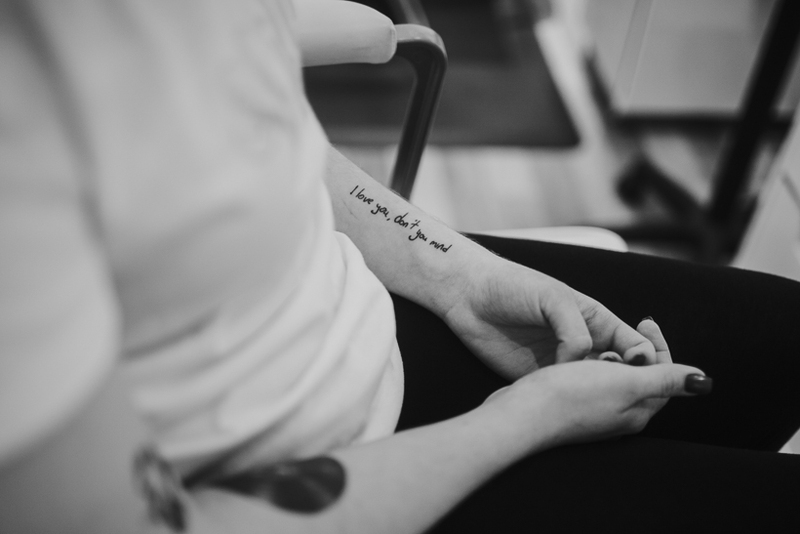 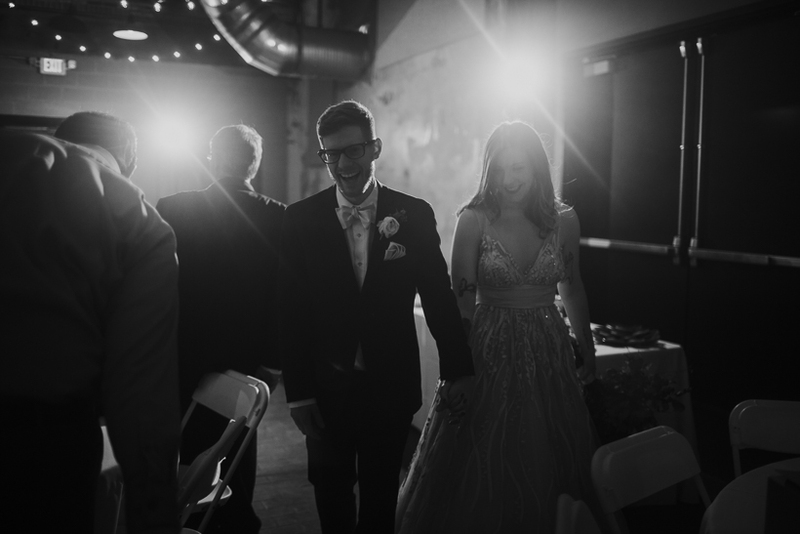 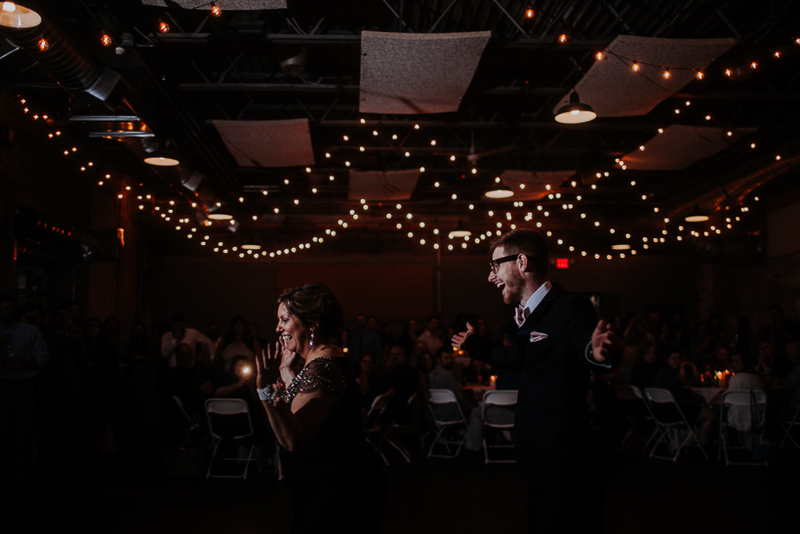 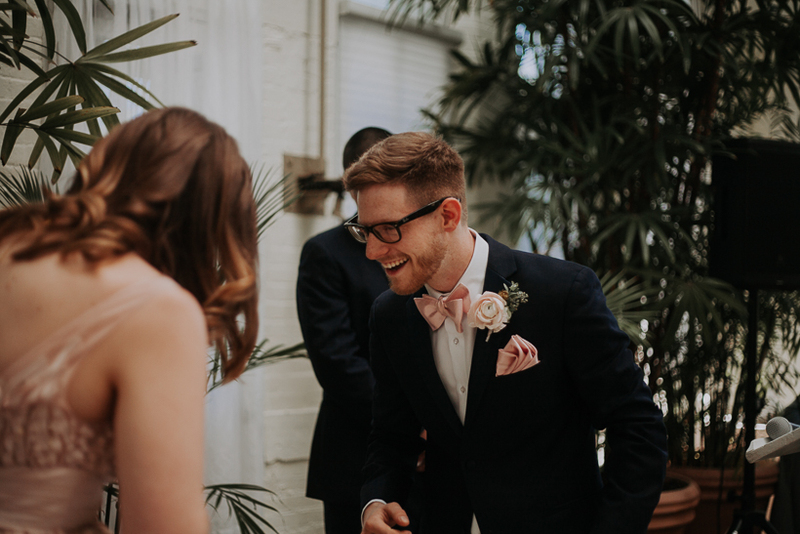 This day was a true gift to photograph – I only cried like 100 times throughout the day, whether it be from laughter or empathetic joy. 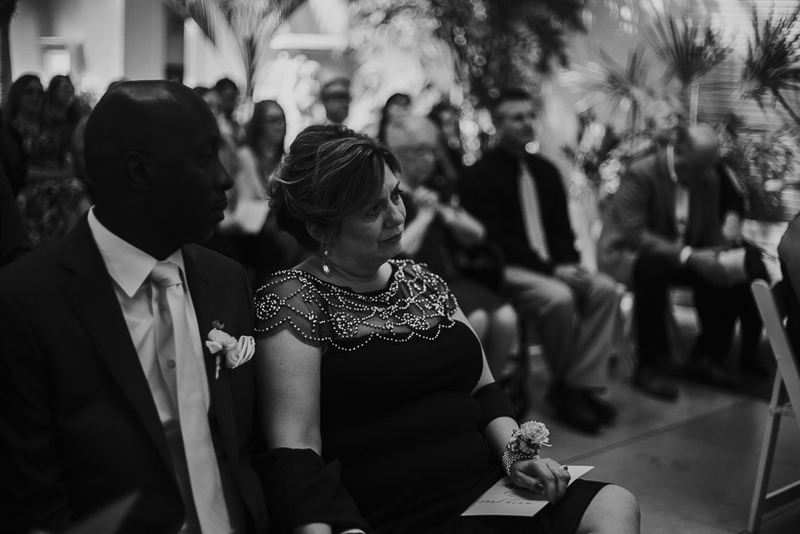 Thankful.